Nutan Brown was our best choice for our home search. We were not living in Toronto and needed someone who quickly understood our family's needs and was prepared for our visits. Nutan is very good at listening and finding the right fit. After we had looked at a number of homes we were struggling with a decision. Her simple, but insightful, observation about the home we looked happiest in led us to buy that very house. And she was right - it did make us happy and still delights us. Nutan was unable to come to offer night as she had another offer night for a home she was selling. In her place, her brother, Anil, joined us for the offer. He skillfully and honestly handled the tense negotiations for the house with great confidence and finesse. Anil and Nutan make a great team. Nutan really knows the market and her expertise, experience, patience, and insights are a perfect fit for anyone in the Toronto market. We will definitely work with Nutan again and highly recommend her. We had a very positive experience working with Nutan Brown as our realtor. From the moment we met her, we were struck by her warm and friendly manner as well as her professionalism. She was careful to pay attention to our wants and needs and, as a growing family, was understanding of our desire to find a home that we would be able to stay in for a long time. All of this was at the height of a very competitive market whose conditions were daunting to first time home buyers. Despite this, Nutan was patient - never pressuring us to pursue something that didn't feel right - but also encouraging us to envision the possibilities that different homes offered. She was timely in her communications and consistently made herself available to send us listings and accompany us to showings. With respect to the latter, Nutan always took the presence of our two very young children in stride, never missing a beat with her willingness to hold or amuse one of them to give us a few more minutes to look around. She even brought treats and toys on occasion! Nutan's skill was acutely apparent when she successfully closed the deal that led to us buying our "forever home." She saw an opportunity for us that we just didn't see initially -- we felt the home would go way beyond our means. Nutan's intuition, experience and persistence in keeping in touch with the listing agent (and us) were invaluable. House hunting in Toronto, particularly for first time home buyers, can be quite stressful but working with Nutan definitely helped to mitigate those feelings. Given our experience, we would recommend Nutan without hesitation. 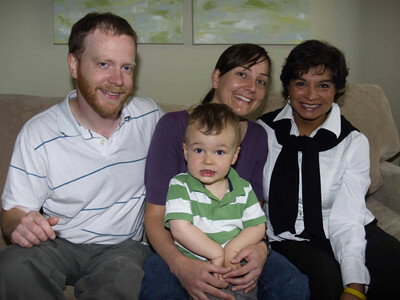 We first met Nutan more than three years ago when we began the search for our ‘forever’ home. During all of our time with Nutan, whether it was in person, over email, via text, or over the phone, we found her to be knowledgeable and professional, patient and honest. 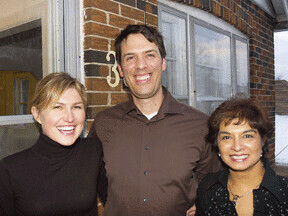 As a person, we enjoyed her company; as a realtor, we found her to be incredibly effective. Despite our lengthy search, the home that eventually ticked all of our boxes caught us by surprise. Nutan kicked right into action. With her advice and strategy, we were the successful bidders – but this was just the start of our adventure! We now had to sell our first home, so Nutan immediately lined up her team that included a stager, painters, photographer, (and even a glazer), and we managed to list in just over a week’s time. Nutan was phenomenal during the sale process of our first home. We listed at a challenging time, just after the busy season when buyers seemed scarce. Nutan did absolutely everything she could to drive interest in and traffic to our home by leaving no stone unturned. And, at a time when other properties were sitting, Nutan presented us with two offers. The purchase and sale process is inevitably a stressful time. Nutan’s calm demeanor, experience and constant communication made the process so much easier. We were truly impressed by her commitment and dedication to us, and the results she brought in. We would not hesitate to use her again! A family member recommended Nutan to us when we began our search for a home to accommodate our growing family. We were not in a rush to sell and wanted to take our time to find our “dream home”. Nutan was very patient and her extensive knowledge helped us to understand the housing market in order to make the right decisions. The market provided us with many stressful situations from bidding wars to bully bids and sales going much more over asking price. 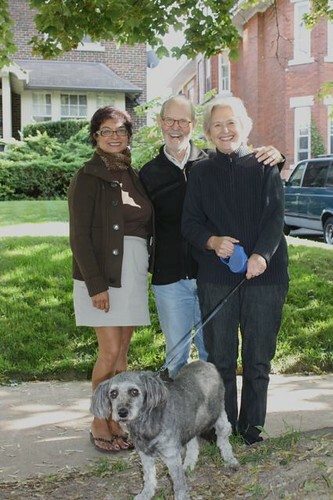 Ultimately, Nutan was able to help us find our perfect home. Were it not for her “roll-up-the-sleeves” approach to getting the job done, we probably would have lost the house. Nutan also worked diligently to help us prepare for the sale of our previous home. Her frequent communication, professionalism and dependability made the sale process so much easier for us. Nutan showed our house numerous times and we feel it was a compliment to her advertising. The exposure through websites, local newspapers and various real estate publications helped us to sell the house within a week! From start to finish, it was a very positive experience working with Nutan. She always made us feel like we were a priority and was there to answer any questions. She helped us navigate through both the purchasing and sale of two homes. We would highly recommend Nutan to anyone looking to buy or sell. We moved into our “forever home” in August and have been happily making it ours ever since. Nutan is a fantastic realtor; words cannot describe how lucky we were to work with Nutan Brown. We are first time buyers and were guided the whole way through this crazy process with such care and professionalism. Nutan was able to make our home purchase a happy, memorable experience. I especially appreciated her consistent communication, knowledge of the market and her attention to detail. We would highly recommend Nutan Brown to anyone and everyone without any hesitations. We look forward to working with Nutan again sometime in the future. Thank you Nutan for making our purchase an enjoyable and stress-free process. Nutan Brown is an absolute gem. She embodies all of the very best qualities in a real estate agent. She is extremely personable, deeply knowledgeable about all things real-estate market-related, and infinitely patient. My husband and I had a very specific wish-list for our new home (which evolved a bit over time!). Because of our specific wish-list, our new home search lasted almost two years from the time Nutan began helping us until we eventually found “the one”. That said, Nutan was extremely patient and accommodating throughout the process. She faithfully sent us new listings, patiently showed us more than 30 properties (maybe more! ), and never once made us feel that we were imposing on her, or that our demands were unreasonable. Ultimately, Nutan helped us find a new home for our growing family within one street of our old home, and helped us sell our previous home within two days of putting it on the market for well over our list price. Nutan’s manner throughout the negotiation process was always professional, diligent, and pro-active. Her advice was practical, realistic, and bang-on helpful. There is no doubt that Nutan knows her business inside and out, and it was obvious to us that because of this she is highly regarded by other agents in the business. Based on our experience, we have no hesitation in recommending Nutan to anyone looking for an honest, straightforward, sensible, courteous, and knowledgeable real estate agent. Thank you Nutan! 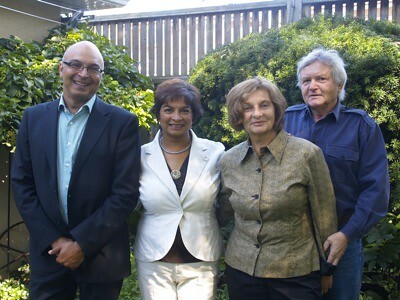 I am pleased to endorse Nutan Brown who worked with us to sell our family home recently in the Bloor and Royal York area. I interviewed Nutan based upon her listings and sales results which I had been following in the Globe and Mail as well as testimonials from other clients she had represented. In fact it all came true. Nutan gave us solid advice.Her professionalism and experience shone through in every way. I found her to be trustworthy, resourceful, and extremely supportive. She was sensitive to the needs of both myself and my daughter and helped us to make this transition such a positive experience. She guided us in making our home market ready and provided her admirable Rolodex of tradespeople. No task was too small or too large. The sale of our home was well advertised and despite very bad weather more than 350 people attended the Saturday and Sunday open houses. Two days later our beautiful home sold for (11%) over ask. It has been a pleasure working with Nutan. She is a stellar example of professionalism in action. You will be delighted to be represented by her. Most people will describe their home buying/selling experiences as some of the most stressful times in their lives. A year ago I couldn't have agreed more. Our little family of four had outgrown the Junction semi-detached house we were in and my husband and I decided that it was time to start looking. The process was daunting to us and we put it off for some time. But then we met Nutan and our whole outlook changed. From our first meeting with her my husband and I both agreed that Nutan would be the perfect real estate agent to guide us through the convoluted process of finding a new home in the Toronto market. She is kind, extremely professional and we connected with her instantly. With Nutan's help we purchased our new dream home in a "tough to crack" high end neighbourhood and sold ours in a record 4 days for way above asking. Looking back we know that Nutan not only alleviated most of the stress of the house hunting and selling process, she actually made it a fun experience! Nutan treated us like family, she was always there for us meeting our every need and I would like to think that she has become a friend for life. We highly recommend Nutan for your real estate needs! We first met Nutan Brown on the recommendation of a trusted friend. Her calm, measured approach to house buying and selling was the right fit for us and our young family of four. She took the time to get to know us and to know our house and we quickly trusted her approach and suggestions. One of her greatest gifts is that she always made us feel like we were her only clients – when we knew for sure that she was a busy realtor. She never made us wait, and she always took the time needed without making us feel rushed. As soon as we sold our home for above asking price we recommended her to family friends who were also thinking of selling – and they sold for above asking too in record time! We wouldn’t hesitate to recommend Nutan to anyone who asks for our suggestion on a qualified, friendly agent. 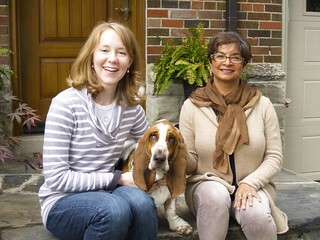 As first-time home buyers we feel very lucky to have had Nutan Brown as our realtor. From our first friendly meeting, we were impressed by Nutan’s professionalism and her impressive experience in Toronto real estate. Nutan was kind and patient with our many questions. We felt from the beginning that we were in capable hands. Making the transition to home ownership seemed overwhelming, but Nutan helped us feel very at ease throughout the entire process. She listened well to our specific needs and helped us find properties that were well suited. We really appreciated that Nutan was intent on finding the right home, in the right neighbourhood, for our growing family. Nutan made buying our first home feel special and fun! Nutan is a lovely person, a tough negotiator and an excellent realtor. We look forward to working with her again in the future and absolutely recommend her services! When I went looking for a real estate agent to help with the sale of my home, I knew that I wanted to work with someone who was competent, experienced, positive and engaged. I had heard many great things about Nutan, but decided to meet with a number of agents before making one of the most important decisions in my day-to-day life. Despite meeting with several very qualified and reputable individuals, Nutan’s professionalism, positive energy, vision and objective approach made her a natural choice. Nutan presented an action plan that immediately added value to my home and maximized its appeal to the broadest market segment possible and when we placed it on the market it had never looked better. Nutan did such a great job, in fact, my home sold in just a few days. 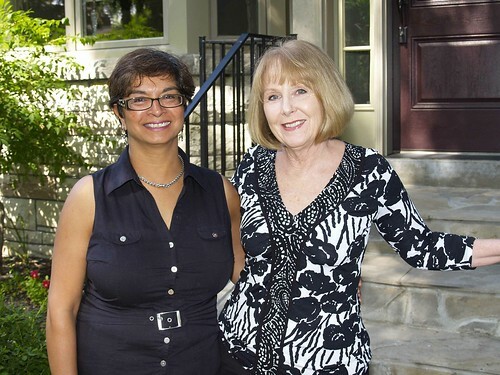 I am convinced that Nutan’s up-front work and hands-on approach enabled me to sell my home quickly and seamlessly. As a very busy professional, I could not be happier with my experience with Nutan and all of her efforts. When I wade into the market to buy my next home, Nutan will definitely be at my side. How do you spell a great real-estate agent? N eighbourly: Nutan knows the dynamics of the neighbourhood she’s representing. She knows the people who live in the area and is able to connect the appropriate buyer with just the right home. U nderstanding: She is empathetic. She understood the ambivalence we had about leaving a home we had lived in for almost 40 years. There was no pressure nor sales gimmicks to sell. We felt very comfortable articulating our needs and expectations. T rustworthy: In all our dealings with Nutan, she set realistic goals. We trusted her judgement; for example, she was honest in her feedback from potential buyers. This feedback was direct, constructive and useful. We appreciated hearing the comments -both positive and negative – from all people who viewed our home. A vailable: Nutan was always personally available for appointments. As our agent, she was present to field questions and provide assistance to the potential buyers. We were impressed that she did not send a “substitute” to show our home. N atural: Nutan’s communication skills are excellent. She speaks with her clients, not to her clients. Her language is always clear and her explanations are concrete. B usiness oriented: A strong background in business and marketing were evident in Nutan’s approach to promoting and selling our home. R eliable: Nutan worked tirelessly to sell our home. We relied on her expertise and she came through with a buyer in just a few weeks. O utreaching: We were impressed with Nutan’s networking skills and her wide range of contacts to help her find potential clients. W inning: If you need someone to sell your home or find you one, choose a winner ... there’s a reason Nutan is in the Top No 1 percent across the country. N ice: Above all, Nutan is so nice, you’d love to have her as a friend. It was also nice to have an offer so quickly! Thank you Nutan for a job well done! us which made it clear that she was working to find an appropriate match versus a focus on making a sale. In the end we found a new house that met all of our criteria with some added benefits that we had not even considered initially. When the time came to sell our house, Nutan's experience and relationships in the community were exceptionally valuable. Nutan's professionalism around our listing was incredible and resulted in multiple offers on our home all before the open house. She did a fabulous job of managing these offers and in the end we were very happy with the outcome. We are too happy in our new home to consider moving again but if we did Nutan would be our first call! Selling a property that you've lived in and loved every day for 20 years, in an incredible area, with a fabulous community and all the amenities, complete with great neighbours, etc. is a difficult decision to make. Nutan made the experience so much easier ! From the first moment I met with her, she left me confident that she was there to help --- no matter what I decided. Do I keep the house and rent it, or do I sell it and move on? Nutan was totally unbiased...no pressure...no rush....no self-serving....just my best interests at heart. She assured me she would make the process a 'seamless' experience. She not only delivered that, but so much more. It goes without saying that Nutan is totally professional, knowledgeable and service-oriented. No matter what question or request I had, she was consistently right back to me with a response. In addition to her 'can-do' attitude, she has a large network of qualified service providers that help make things simple....right down to moving companies. No matter what, she couldn't do enough and was there, ready to go the distance. Speaking of distance, that included working through multiple offer reviews with me while I was south of the border. When Nutan promises 'Energy.Commitment.Results', she takes it seriously and delivers. As well, I appreciate how she is involved with and gives back to her community. It's clear how she was elected to Royal LePage's National Chairman's Club 2009-2011, and I highly recommend her. My story is not only about the sale of my property, but also development of a new friendship. Thank you Nutan, for your unwavering patience and caring, and making this decision so much easier for me. You're the best ! We have loved working with you and will miss seeing so much of you. You truly are a special person and we are glad to know you and call you a friend. We offer the below testimonial in an effort to share just how great you are! We can’t wait to have you over once the home is done, for you to see the fruits of your labour!! As first time homebuyers bent on finding not only our first home, but THE family home, you can imagine what Nutan was working with. Our search spanned over a year and a half. In that time, not once, did we feel we were anything but a delight to Nutan. She was always happy to show us yet another property, consistently diligent in the search leaving no stone unturned and never ever were our questions left unanswered or emails left hanging. Oh, and did we mention we did at least four home inspections? From the moment we met her, we knew Nutan was the agent for us. Genuine, kind and above all patient, Nutan is formidably knowledgeable. She is the full package! It is truly difficult to reduce to paper how much Nutan has meant to us. With Nutan we have developed a friend and business never felt tedious. The energy and kindness she exudes in contagious and she helped us stay optimistic throughout the bidding wars and even when we were ready to settle. The only negative now that Nutan has found us our “perfect home” is that we will see less of her. Nutan doesn’t have “clients”- she cultivates relationships and the “client” becomes a part of her life. We owe Nutan a great deal and are grateful to have had the privilege to work with her. We anticipate an ongoing friendship with Nutan and would never dream of working with another agent! As soon as we decided we were going to sell our house, we felt the first flutters of anxiety. It was all a big unknown to us. The house, where we’d lived for eighteen years, was the only home we’d ever owned, and so many of our plans for the future depended on making a successful sale. Determined to choose the right real estate agent to help us make this happen, we asked around and gathered several names. Then we invited three agents to come and talk to us and look at the house. After we’d done that, we felt a lot less anxious, because it was immediately clear to both of us that we had to choose Nutan Brown. Nutan came highly recommended, and now we saw why. She is warm, intelligent, and unflappable. We never thought she was simply telling us what she thought we wanted to hear, and we were happy to follow her advice to the letter. In fact one of the other two agents had put a higher valuation on the house, but we felt we should put our trust in Nutan. We are very glad we did. Throughout the process of preparing our house for sale, she contributed common-sense advice and a great deal of very welcome reassurance. She kept in regular contact and responded promptly to all our calls and e-mails. Her marketing plan was solid, and her photographer was superb. When the listing went up, the house was mobbed for a solid week, and by the end of it all we had thirteen offers on the table and were thrilled to make a truly excellent sale. Now that the house has sold and our lives are back to normal, we can look back on the whole experience and take pleasure in the fact that from start to finish, with Nutan’s help, we did everything absolutely right. When we found out that we were going to be transferred to the U.S. with only 7 weeks to list, we knew there would only be 1 phone call to make, and that was to Nutan Brown. 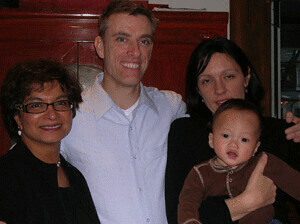 Nutan had been the Agent that we worked with to buy our home, and over the course of 3 years, we always stayed in touch. Nutan became a trusted resource whenever we had neighborhood and market related questions. Nutan worked with our tight timeframes and the complications of my company's relocation rules without raising an eyebrow. Because of her guidance and superior marketing plan, our home was sold in one week, with multiple offers, nearly 8% over asking price. Skeptics may assume we had a strategy to under price our home to get to that position-they would be wrong. We are now in the U.S., and know that should our paths lead us back to Toronto, there again, would only be 1 phone call to make. 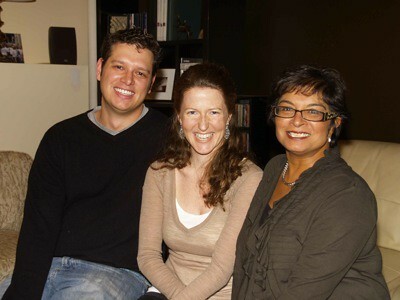 We first had the pleasure of meeting Nutan at an open house. Having just purchased and moved to our new neighbourhood of Bloor West Village, we were out exploring and came upon a open house she hosting. We were immediately drawn to her warm and approachable demeanor. We were impressed with the fact that she took the time to speak with us and get to know our family, even though we were not in the market to purchase at the time. We kept her card knowing that when the day came for us to trade up, that we would like to work with Nutan. 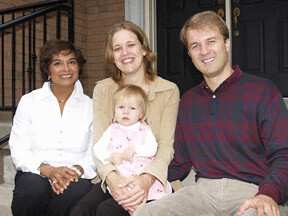 Fast forward three years later and we were in a position to sell our existing home, and without hesitation the first person we called was Nutan. Needless to say, we were overly impressed with the fact that she not only remembered us and our family, but also the open house where we initially met three years earlier. Working with her on a one to one basis in our home was like working with a trusted friend and advisor. Even though she is a top agent, she has the unique ability to make you feel as though you are her only client. 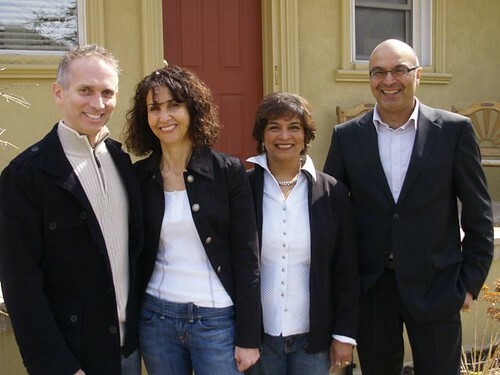 Nutan's expertise and honest, genuine approach made the process of selling our home painless. She had wonderful suggestions and ideas and even supplied props from her own home to further enhance our property. 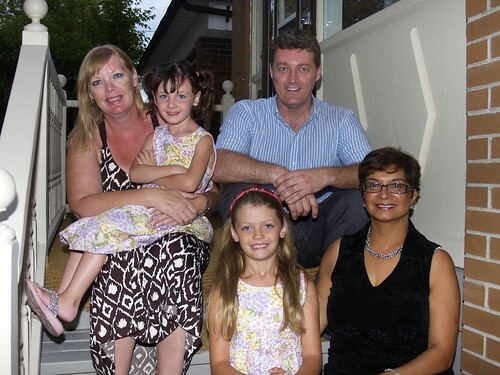 We highly recommend Nutan; not only is she our agent, she has become a trusted family friend. We initially met Nutan while we were casually checking out an open house. stuff and immediately understood our vision. unconventional purchase that was perfect for us and she fought hard on our behalf. as comfortable and stress free as possible and we were very content with the outcome. We were introduced to Nutan through a friend and our first call to her was very casual. We weren't sure what our timings would be like- it could have been six months or a year before we would be ready to move, but we wanted to begin looking in a more focused way than just perusing the Villager each week. Nutan was great from the start, assuring us that sometimes it takes many months to find the perfect house and that we could begin to explore without pressure. Her actions backed up this promise 100%. Nutan was very patient but also right on the ball, in regular communication honing her perceptions of what we were looking for. She was always happy to see us and our children and never seemed in a rush despite the fact that we know she is very busy. As it turned out, within weeks we had found a home we wanted to bid on, and when that time came Nutan's excellent skill in closing the deal really shone. Nutan is professional through and through. She knows the business very well and she was able to be caring and gracious with the sellers while working clearly on our behalf. This is an art, we were glad that Nutan's kindness represented us. 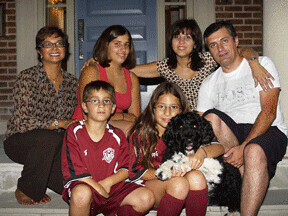 At the end of the day we got a great new home and felt good about the experience. Thank you Nutan for being so generous with your time and energy! From the first moment that I met Nutan Brown, I knew I was dealing with an outstanding person, not “just” a real estate agent. Nutan is undeniably authentic. It shows in the way she speaks, in the way she moves, and especially in the way she listens. When I first approached Nutan, and asked her to work as my agent, I’m not sure I was entirely ready to buy a house. I was a first time buyer, single, with a limited budget and a very specific – nearly impossible – formula for the type of house I wanted. I was also very happy in my rental situation, had been renting for over a decade in a gorgeous place for an excellent price. I was very nervous, and entirely uninformed not only about house ownership, but about the process of buying a home. In addition, the market was fiercely competitive at the time. There was a buying frenzy, with people paying way over asking for most homes. Nutan had quite a case on her hands, but she didn’t flinch. Nutan and I began the house-hunting process in June. We would go see houses often, sometimes three nights a week. We would cross the city over and over again, looking at prospective houses in all types of neighborhoods. At one point we even drove an hour out of town to look at a lakeside property that caught my eye. Location was not my focus as much as the “right” house. I was not quite sure what the “right” house was for me, but I knew I would feel it when I saw it. That house by the lake, as it turned out, was not the “right” one. In fact, as it turned out, we probably saw over 60 houses that were not the “right” ones. Nutan worked hard to figure out what it was I really wanted, what would make me happy, even when the answer was elusive. She researched for me daily, finding homes that may suit me. She looked at any and every house within my price range, weeded out houses that did not embody the qualities I preferred, and set up appointments quickly so that we would have a head start on the rest of the hungry home-seekers. She took so much time to find me a home that I wondered how she was managing with her many other clients. She somehow made time for us all, and all the while, she treated each of us like genuine VIP’s. I was such a small fish, yet Nutan gave me the kind of time and attention that one would give to a million-dollar buyer or seller. Above all else, Nutan educated me every step of the way. Through our interactions, I learned all I needed to know about the daunting process of buying a sound home. I knew nothing at all. Nutan patiently taught me all the ins and outs. She connected me to anyone I needed help from, including an excellent inspector, and later, trades-people who would help me with the work I needed done in my house. Nutan had nothing to gain from all this; teaching and guiding me was a labor of love. This brings me to the heart of the story: Nutan’s work, every bit of the process, is truly a labor of love. She genuinely loves what she does, loves people, and truly wants to make people happy. She is extremely successful at this, not only because she is so good at what she does, but because she has an outstanding head on her shoulders, and her heart is in the right place. In the end, Nutan found me the perfect home! It went on the market in the morning, she sourced it out by lunch, and by dinner time, I had viewed the house, and made my offer. Nutan helped me to move fast, and all our work together prepared me to make the right decision at the right time. My house is so “right”! It is spacious, lovely, strong, healthy and the back yard is a peaceful retreat for me. My home makes me feel at ease every day. It is the best move I could have made, and I honestly attribute this to Nutan Brown. I could not have found my home without Nutan. She gave me all the information and support I needed in order to seek out and purchase my home sweet home. This was the most important decision I have made in my adult life thus far. I am forever grateful to Nutan. I admire her skills, her attitude, and her great big heart more than words can say. We could not have chosen a better agent than Nutan Brown to sell our family home of some 30 years. Not only was Nutan a consummate business professional; but she also managed to be caring and sensitive throughout the listing process. In our experience, Nutan treats her clients and their concerns as though they are family. If you are not a friend of Nutan when she begins to represent you, you will be by the time she closes your deal. 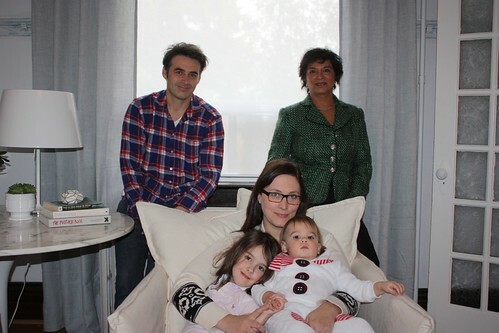 We met Nutan Brown at a busy Open House on a rainy afternoon with our two children. We recognized her openness and warmth right away. We weren’t working with an agent at the time and it was very apparent that we had met the person that would go on to help us purchase our new home (yes, this was the very same house we saw at the Open House). Nutan teamed with our family in order to make all of the critical decisions required to make our wish for a new home a reality. She calmly navigated us through a precarious real estate scene in Toronto. She listed and sold our home well over asking price. All of this took place within an incredibly short timeline. Now we are settled into our new house that immediately felt like ‘home’. Many warm thanks to Nutan – we look forward to a continued friendship. 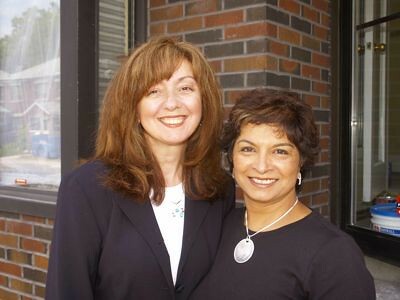 Nutan Brown is, in our experience, quite simply the best real estate agent in the GTA. She brings many, many exceptional qualities to the often fraught business of selling one’s home. She is patient & thoughtful—able to listen to what the client hopes to achieve, both financially and in terms of life-style goals. And because she is blessed with highly developed emotional intelligence, she is able to offer astute guidance in all decision-making. These talents are complemented by a sound business awareness. Nutan knows the real estate industry inside and out, & fully understands the specific characteristics of the GTA market – its potential and its pitfalls. Nutan positioned our property exactly right so that we were able to set the right price to appeal to the right buyers. Her business competence and confidence guided us through the (for us) hair-raising process of assessing the many, many offers we received. Her composure allowed us to select the right bid, while feeling totally confident that each prospective buyer had been treated fairly and respectfully. Nutan has also chosen an exceptional team of experts to provide support and guidance, in home inspections, in home staging, in cleaning and preparing the home, and in photographing the property. Nutan gave us expert advise at every juncture. We couldn’t be more pleased with the service she provided. When considering a new home for Art Works Art School, we soon accepted the fact that it would be rather a long journey because our needs and requirements in terms of size and location were so specific. We basically gave Nutan a treasure map and sent her on a hunt for a “jewel”. With the talent, tenacious spirit, determination and perseverance of Indiana Jones, she set out on what amounted to nothing short of an archeological mission, digging up layers of listings before discovering a gem. True to professional form, she finally presented us with 238 Jane Street and an excellent opportunity for Art Works Art School to expand and evolve. Our new home gives us twice as much studio space, a designated gallery, a library and resource center, a retail store and improved parking. There was no compromise on location either. We are in close proximity to both Bloor West Village and The Junction, as well as an amazing park for children, the Humber River ravine for outdoor painting, nature studies, and field trips. On behalf of all the staff and students at Art Works Art School many thanks Nutan for your uncompromising professionalism, unwavering commitment to excellence and much appreciated “moxie” throughout the duration of our journey, you truly unearthed a treasure for us! We'd been watching real estate related reality TV for years and thought we might be able to avoid the pitfalls of most Property Virgins, but as it turned out, nothing could have prepared us for the stresses of finding our first home in a super-heated market. Thank God Nutan was there to take us by the hand and gently initiate us into the world of multiple offers and low inventory. 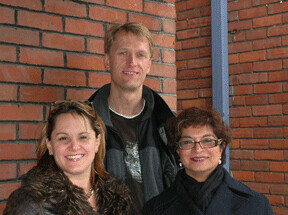 Nutan's kindness, patience, and expertise were crucial to helping us maintain our sanity and to find the perfect loft. Why settle for less when you can have the best? Nutan Brown was midwife to our dream! 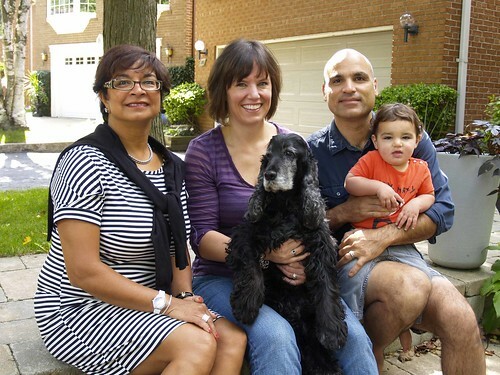 When we first sat down with Nutan we had a vision of moving from our large Baby Point home, where we had lived for more than 20 years and raised our family, to a modern bungalow within the general neighbourhood. Nutan guided us expertly through both ends of this process – searching, finding and buying the perfect property and staging and selling our home. It would be impossible to count the many ways Nutan assisted us- the latte runs while viewing homes, patiently watching the market for exactly the perfect property to purchase, advising us on the staging and preparation of our house and bringing it to market. Professionalism and expertise are the top qualities one looks for in a realtor and Nutan brings these in spades. But the icing on the cake, the qualities that make the difference between a good business transaction and an enjoyable life transition are Nutan’s personal warmth, caring and willingness to go to great lengths for her clients. We could not recommend Nutan more highly. We first met Nutan Brown at a house viewing on our street in the fall of 2007. We were exploring options of single family homes vs. investment homes. Immediately, we knew she was a dedicated agent as she answered many questions and promised answers to those she couldn’t provide at the time. Over the next couple of months, she showed us several houses that might fit either scenario. Never pushy and always professional, Nutan was able to lead us to the perfect home. Even inclement weather did not stop this dedicated woman as one Sunday afternoon in December, in the middle of a snowstorm, we sealed the deal. Nutan went the extra mile for us as she was able to help us close from afar (we were in New Zealand) when our closing date changed. We highly recommend Nutan to anyone looking for a new home or investment property. Her friendly, approachable manner will win you over the first time you meet her and her dedication will help you find the ideal property for you. As homeschooling parents of two, both involved in developing careers and businesses, we had nothing to offer a sales agent other than our specifications and a smile. We were in need of someone we could trust with our growing family's needs who could work independantly. Nutan Brown took the wheel and drove us home! This is our dream home that has room for our kids, fufills our business needs and has us excited about future projects that we will enjoy with family and friends. When Nutan casually says, "You can call me any time," she really means it! Working day and night to get the job done, and we're so grateful she did. 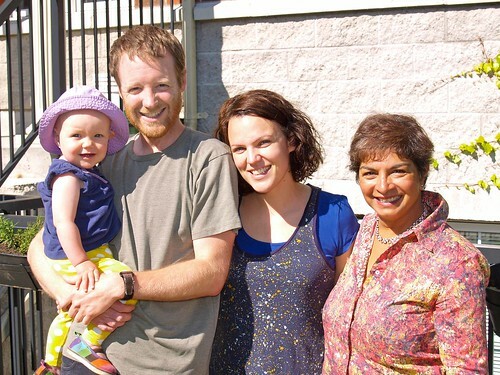 We met Nutan Brown at an open house a couple of years ago. We were impressed with her energy, commitment and warm personality, so we retained her card for future use. 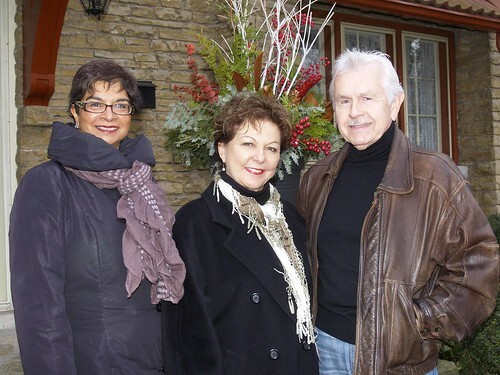 When we decided to sell our Bloor West Village duplex in 2008, we invited 3 local real estate agents to give us their professional feedback on the condition of the property, any renovations required and a realistic selling price. One well-known agent made a half-hearted attempt to get back to us. The other showed up as scheduled, and gave us a temptingly high estimate. Nutan was the third agent. We asked her to work with us because we felt that her estimate was the most realistic, and she followed up after then initial meeting, which told us that she was committed and reliable. She also involved the other member of her team right from the start - her brother Anil Khera, whose involvement added greatly to the project. We had very little time to perform the renovations and cosmetic work needed to make our old Bloor West Village home more presentable. The painters that we had engaged two months before cancelled the week before they were supposed to start our large painting job. Nutan called her painter right away, and by the next week, we had an excellent painter who helped us to transform our house from dowdy to dynamite. Nutan and Anil were very hands-on during the renovation process, working together with us to get the job done in the timeframe we'd set out. They were always available with suggestions, suppliers and advice, and even offered to roll up their sleeves to pitch in to do some of the dirty work. We listed our property the day before the economic trouble around the world last fall burst into the headlines. Almost immediately, a palpable hush fell over real estate activity in the city. During this unpredictable time, Nutan and Anil worked tirelessly and creatively to market and promote our property, and ran an open house every weekend until the house was sold. The recommendations that Nutan and Anil had given us at the beginning of the project stood us in very good stead when the market changed, and our duplex, which is a niche product, was sold in an amazing 5 weeks. We wouldn't hesitate to recommend the Nutan Brown team to anyone else. Nutan and Anil are a dynamic duo who are energetic, committed, down to earth, and most importantly - they get results. We truly enjoyed working with them and consider them friends, as well as an important part of our business team. We met Nutan at an open house she was showing this summer and her warm, inviting personality instantly made it a comfortable experience. Right from the start, we knew that she was someone we could not only respect as an agent, but someone we could trust as a good friend. Having researched several properties ourselves, we had an idea of what we wanted but hadn’t found it. Fortunately, Nutan was there; she was readily available to work with us, show us our options, and share her valued advice and expertise. Although our working relationship was brief, it was a passionate one with many twists and turns and we very much appreciate her patience. We’re happy to be in the same neighbourhood as Nutan Brown and consider her a friend we look forward to enjoying our new home with. She continues to help make our transition into Bloor West a positive experience and we would highly recommend her to anyone looking for the perfect home to suit their lifestyle. What an amazing experience it is working with Ms. Nutan Brown! It’s funny to write her full name, because when you start to work with this professional, enthusiastic, motivated, determined and optimistic person, she also becomes your friend and part of your family. Not only does her personality glow from within, she means what she says and follows through. I thought it was going to be hard to say good-bye to our home, and I never thought our family would ever be fortunate enough to find a dream home in the beautiful setting, as we did. We felt overwhelmed with the stress of selling our home, but with Nutan it was virtually stress free; she was always there to answer our questions and calm our nerves. She goes above and beyond her duties and always makes you feel that you are part of the team. Nutan Brown offered all her expertise in selling and buying our house. Any advise we needed, she gave it to us immediately. Indeed, Energy, Commitment and Results. With her experience, we sold and bought our houses at the right price. We feel very blessed to know her and to have worked with her on something very dear to our hearts, Thank you for helping us with our new life. She is an incredible agent and it goes with out saying, an incredible person!! 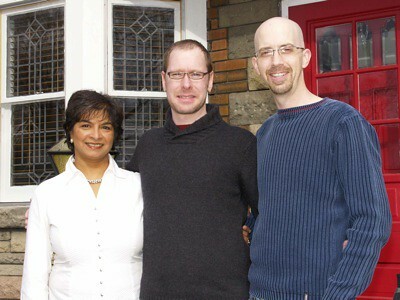 Being first-time home buyers (and tech savvy Gen-X-ers), we were "introduced" to Nutan via her website. We were very impressed with her professional background...having 20+ years of experience as a resident of Bloor West Village, we figured she would be an incredible resource when it came to buying a home in our desired neighbourhood. Clearly, we were right! In addition to being a fantastic resource - who knows pretty much "everything about anything" going on in the Bloor West area (we enjoy her monthly newsletter), she really knows her stuff when it comes to the real estate market. After having had some not-so-pleasant experiences with other agents in the area, we were so relieved to have found Nutan and appreciated her highly responsive, respectful and supportive attitude. Nutan's warm and easygoing personality made it easy for us to get answers to our questions and concerns and really helped to put us at ease in this stressful market of bidding wars and tight timelines. We won't hesitate whatsoever to recommend Nutan's services... whether you're a first time home buyer or buying your 10th home, Nutan is a valuable resource to have on your side. Her prompt, proactive nature and unshakable positive demeanour (believe us, we tested it a few times) is a true testament to her professionalism. Now that we have our beautiful new home in Bloor West Village, we look forward to having Nutan over for drinks on the patio to celebrate! "When we decided that we wanted to move, we weren’t sure who to contact to help us buy a new home in our neighbourhood and sell our current home. Then I remembered an open house that my husband and I attended a few months ago – the agent was enthusiastic, professional and extremely energetic. The agent was Nutan Brown. After meeting Nutan in person, we knew that she would be the best person to help us. After discussing our needs with us, she immediately began sending us listings that were exactly what we were looking for. After only a few short weeks, we found a house that we wanted to buy. Nutan’s experience and in-depth knowledge of the real estate market were invaluable in ensuring that we came out on top in the bidding war! It’s hard to believe that almost a year has gone by since we enlisted you to help us find a new home. Looking back on it, you really did a wonderful job showing us properties in the neighbourhood. With your help and eternal patience you showed us many homes – a process that spanned many months before we found the right property. During that time you demonstrated a good understanding of our needs and never rushed our decision making process. And when it came time to sell our house, you offered excellent insight into the market, assisting us to invest in the areas of our house that would allow it to show its best. This was not limited to finding qualified tradespeople to help us prepare the house for sale, but also offering the emotional support to see us through this crazy period in our lives. And when all was said and done you secured us a sale within one week and a price that well exceeded asking, and our expectations. I suppose it’s true – hiring a top realtor with strong knowledge of the area can pay off in a big way. Nutan, thank you for your assistance over the past year. No doubt we will see you around the village. When it came time for our family to select a real estate person, I was unavailable to meet with the people who came to look at my Dad's home. My brother did the interviews and sent me the material. My brother and I found it interesting, that although I had not met Nutan, our feelings were the same. All agents had the same amount of time to get back to us and prepare their presentation. Upon reading what was given to us, I was impressed with Nutan's approach. I felt a sense of compassion and care both for our family, and for my Dad's home. She took the time to do a detailed draft of what she could do and how she would tackle the procedure. I felt, she took as much pride in the home -- she would take on selling -- as those of us -- for whom the home had been in the family, for so many years. A family home from 1944 to 2007 has a history all of its own and I felt that Nutan gave it the respect and dignity it deserved. Some may feel these comments strange -- as a house is brick and mortar. But, that house had long past the materials with which it was made -- and was indeed not a house -- but a home. My brother and I agreed on Nutan, and I still didn't meet her until the night offers were presented. Nutan continued to be sensitive to our family needs and feelings and did justice to the final selling of our HOME. We are thankful for the help, and care, she gave us. Thank you so much Nutan for walking us through out first home purchase! Little did we know that a casual stroll through an open house on a Sunday afternoon would lead to a home purchase only a few weeks later! Finding an affordable house in a beautiful neighborhood like Bloor West is a daunting task. It was therefore a relief to work with someone such as yourself who listened carefully to our requests and preferences and then pointed us in the right direction. With your advice we were able to negotiate the transaction with the confidence that a great house could be ours at a reasonable price. Thanks again for all of your advice and efficiency. We look forward to seeing you around the neighborhood and showing you our house once we've made it a home! Nutan understood what we were looking for and helped us to single out those candidate houses. Even though our requirements changed over time and we considered a broad range of properties as we kept looking, she stayed patient and focused. We're glad to have her help us with the whole process. 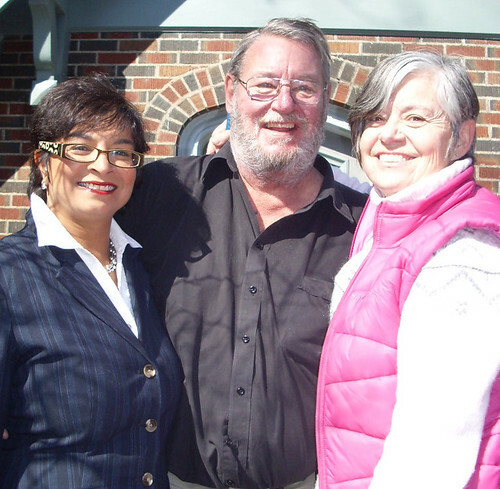 We had the pleasure of meeting Nutan Brown at a home where she was representing the seller. At the time, we did not yet know if we were going to be purchasing in the neighbourhood. We had not narrowed down our search and were visiting locales as far west as Milton, and as far north & east as Maple (as well as Etobicoke and other areas of west Toronto). MLS W08 eventually became our target area. When we ultimately focused in on the specific neighbourhood, we did not have any local realtor representation. There was a home we were interested in and we needed some realtor subject matter expertise. Based on the enjoyable experience of our earlier introduction to Nutan, she immediately came to mind. Nutan gladly assisted us in this respect – even when we were not formally engaged with her. Although we had submitted offers for that particular home, an agreement could not be reached. However, the communication and responsiveness provided by Nutan laid the groundwork for our future cooperation. As we narrowed down our search, Nutan was particularly helpful in setting up viewings of homes we were interested in, and often on very short notice. She quickly and thoroughly understood our unique requirements, was diligent in providing any property leads, and also proactive in exposing us to properties which we may not have originally considered as worthy of consideration. She did so always with a smile and a genuine willingness to help – an overall very lovely demeanour. We always feel ‘connected’ with her and comfortable enough to discuss any and every aspect of a critical step in the life of a family – a move. In other and all respects, Nutan has consistently been very responsive: not just while we were viewing the home we ultimately purchased, but also before and since as well. As a comparison, the realtor who represented us for the sale of our previous home, was barely available and visible to us and unresponsive to our queries and needs. Nutan was an absolute pleasure to deal with – if we had an issue, we knew she would carry it forward to resolution. During the negotiation phase, Nutan thoroughly understood and represented our position, and was an instrumental and efficient link to the seller. She demonstrated considerable patience under less than ideal conditions – all packaged in her particularly wonderful deportment. Nutan often acted, and continues to act, as a liaison between ourselves and the seller, even on aspects which certainly do not fall under the typical responsibilities of a realtor. In this particular case, the seller’s representative and the seller have not been particularly responsive, and Nutan has taken on the burden to ensure all of our details and needs are met. We certainly appreciate her expertise and personal touch and will not hesitate to recommend her to our family and friends – especially as we encourage others to move into our neighbourhood! We would like to extend our sincere appreciation for all your efforts, professionalism and expertise in leasing our home. We were very impressed with your excellent service and how quickly everything was accomplished. It was a pleasure working with you. We are pleased to call you our realtor and our friend. We would highly recommend you to anyone looking for a highly effective and reliable real estate agent! 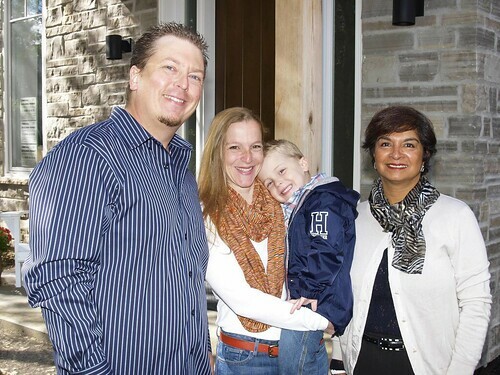 "Nutan's kindness and attentive work ethic were key components that solidified the purchase of our first home. She was always a phone call away, pleasant when dealing with our many requests, and helpful with the inquiries we had to ensure that all points were met to finalize our deal. I can't thank her enough for the support she gave us." Thank you for making this experience, selling our loft such an enjoyable one. Thank you for your time and energy, effort and expertise. We truly are grateful. We don't think you will ever know how wonderful we think you are. You are a professional and your service was exceptional. We have been blessed to have been given the opportunity to work with you and we hope to continue to work with you for our future endeavours. "Nutan Brown is a superb real estate agent. She is extremely affable, makes herself available, and never pressures her clients. I had the pleasure of using Nutan to sell my town home and found her to be very professional. She made my experience as stress free as possible. I would recommend Nutan Brown to both family and close friends for any of their real estate needs." The day we met Nutan Brown for the first time, she asked us to name the three things that we most wanted in our new house. That was easy: a great house on a nice street in the High Park area. And, of course, it had to fit our budget. But before any of that could happen, we needed to sell our loft. Nutan met with us before we listed and gave us some great advice on how to best present and price our property. Five days after it listed, before we even had a chance to have an open house, we received a clean offer of exactly our asking price. With our loft sold, we could now focus on our search for a new home…with the clock ticking – 90 days until homelessness – we began our search. Nutan not only listened to our needs, she asked the right questions so that we gained a better understanding of what we really mattered to us. When we started our search, there wasn’t a whole lot to look at. What was available in our price range required a daunting amount of renovation. After almost a month of looking – and losing out in a bidding war against 12 other offers -- we were a bit discouraged. Nutan was always calm and upbeat and she assured us that the right house was waiting for us. Exactly a month to the day we sold our loft, we successfully made an offer on a home we truly love on a beautiful street in High Park. It is everything we hoped it would be. Nutan was an energetic, committed pilot on our journey to a new home and we have every confidence in recommending her. She’s not only a great agent who represented us with integrity, good humour and empathy; she’s become a good friend. Last month my wife and I decided to sell our home of 37 years. Having a unique house with an unusual layout (not a traditional 3 bedroom and 2 bathrooms configuration), just 1 Bedroom and Grand Studio with Cathedral Ceiling), we looked for a real estate agent who could match our house with the right buyer. After talking to several agents, I asked Nutan Brown to meet us at our home. In just a few minutes we knew, that we had found the right person to help us market and sell this unique and special home! Nutan Brown is a professional who stands apart from all others. Wonderful combination of intuition, sensitivity, strong determination, endless energy and deep marketing knowledge of the market. She is truly passionate about her work and her clients! It took us two weeks to prepare our home for sale. After only 1 week on the market, Nutan armed with first class marketing tools, closed the sale and brought us a very happy buyer! Before you buy or sell your property, do yourself a favour: talk to Nutan Brown. Nutan and I met at an open house that she was hosting in Baby Point. My girlfriend and I had been to several open houses that day and were anxious to see this one but we were somewhat dreading the standard, aggressive contact with the listing Realtor. You know that “Hi-how-are-you-do-you-have-an-agent-can-I-follow-you-around-the-house-and-pester-you-into-signing-a-buyer’s-agreement” kinda thing. We were pleasantly surprised to encounter Nutan with her beaming smile, calm demeanour, and welcoming attitude. Not only did she make us feel comfortable but it was very clear that she was focused on selling this house for her client, not signing up a new buyer. We appreciated her loyalty and liked her immediately. A few days later, I decided to give her a call and see how she would fare at showing me some houses. Her knowledge of the neighbourhoods, recent comparable sales, listing history, and schooling information was very impressive. She was so good that I eventually gave up my own MLS search and relied on her listing suggestions as my primary source of research. What I realized was that the MLS was only showing me the overpriced stuff that wasn’t selling. Nutan knew all the good stuff and she knew it before it hit the MLS. Soon, I was getting two or three fresh listings every few days. Nutan and I would meet at the craziest times, with almost no notice, in order to be among the first to see the new listings. We barged in on several Realtor open houses and saw plenty of new homes before the signs were on the front lawn. Regardless of how short the time frame, Nutan never complained or lost her patience with me. Her bright smile was a constant. After a couple of months and what seemed like an endless number of homes, we finally came across the right home, in the right neighbourhood, at the right price. It was day one of the listing (sign wasn’t up yet), we recognized the value due to all of our research, and we knew we had to act quickly. When Nutan presented the offer that evening, the seller was contemplating holding off for an open house weekend but Nutan persevered and convinced them to entertain and, ultimately, accept the offer. Without Nutan, there is no way that I would have found this house before some other lucky buyer scooped it up. I didn’t need luck…I had Nutan Brown working with me. Needless to say, I would recommend Nutan to anyone in a heartbeat. Not only is she committed to serving her clients, it’s clear that she enjoys and takes a lot of pride in what she does. She was a pleasure to work with. Thank you so much for finding our home for us, Nutan! Ben, Sophie, and I look forward to having you over for a Chai Tea Latte, extra hot. 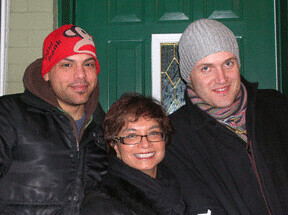 It was 2 and half years ago that I met Nutan at an open house in the Lansdowne and Bloor area. At the time, I was very casually toying with the idea of buying a condo and didn’t really know where - or how - to start. Nutan was immediately welcoming and friendly, without being pushy or nosy. Since I didn’t really have an idea of what I wanted for myself, I took Nutan’s information and told her I’d be in touch. After a few emails, Nutan began to send me listings that she thought might suit me and my somewhat picky specifications. Through those countless emails, she helped me learn and recognize what it was that I really valued in a home. We saw a few places together over the years and although none of them panned out at first, I learned more and more about the process with every step. When I specified a very limited geographic area for my search, she diligently sent me listings in the right neighbourhoods. When my financial situation needed a little therapy, she patiently waited on stand-by until I was ready to start looking again. When I called excited about a listing, she made plans for us to see it right away, knowing that that time was of the essence and could be the extra edge I needed. Nutan is like an encyclopedia for first time home owners and she was able to handle every question I threw her way, even if it meant referring me to one of her valuable, knowledgeable contacts. Not only was Nutan a pro with the nuts and bolts of the whole buying process - something that was a complete mystery to me at the time - but more importantly, she was available and supportive when I had questions. Her dedication to my search, even throughout my own indecision, was remarkable and I truly felt that she was rooting for me to succeed in this new adventure of mine. When we finally did cross that finish line, I was elated, relieved and so thankful, for certainly I wouldn’t have gotten there without Nutan. It’s been a long road, but with Nutan as my navigator, I’m thrilled with my destination. Nutan, can’t thank you enough for helping me all these years! Nutan Brown is an absolute gem. She embodies all of the very best qualities in a real estate agent. She is extremely personable, deeply knowledgeable about all things real-estate-market-related, and infinitely patient. My husband and I had a very specific wish-list for our new home (which evolved a bit over time!). Because of our specific wish-list, our new home search lasted almost two years from the time Nutan began helping us until we eventually found "the one". That said, Nutan was extremely patient and accommodating throughout the process. She faithfully sent us new listings, patiently showed us more than 30 properties (maybe more! ), and never once made us feel that we were imposing on her, or that our demands were unreasonable. Ultimately, Nutan helped us find a new home for our growing family within one street of our old home, and helped us sell our previous home within two days of putting it on the market for well over our list price. Nutan's manner throughout the negotiation process was always professional, diligent, and pro-active. Her advice was practical, realistic, and bang-on helpful. There is doubt that Nutan knows her business inside and out, and it was obvious to us that because of this she is highly regarded by other agents in the business. Based on our experience, we have no hesitation in recommending Nutan to anyone looking for an honest, straightforward, sensible, courteous, and knowledgeable real estate agent. Thank you Nutan! Nutan Brown has been our real estate agent this past Spring for the sale of our house and we could not have been more pleased! Right from the start she put us at ease and she and her team guided us beautifully through the process! Nutan is a true professional with great experience and an impressive network of contacts, a person who operates with the utmost of integrity, exhibits great commitment to clients and gets results quickly. She has her hand on the pulse of the market at all times and was always looking out for our best interests. Nutan brings compassion to real estate yet also has the right balance for tough negotiation always working on her clients behalf trying to obtain the best possible outcome. 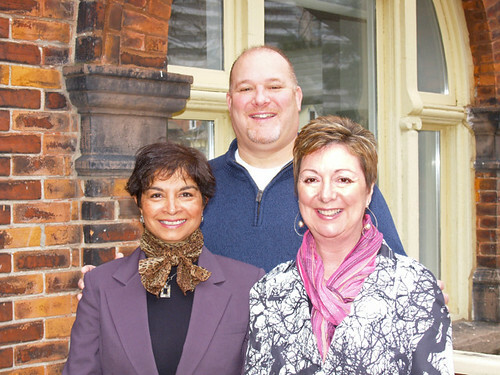 We can't say enough good things about Nutan Brown as a real estate agent and person! Not only was she a knowledgable agent with great experience and expertise but we felt like she was a friend with our best interests at heart & we still think of her as a friend today. We would work with Nutan again in a heartbeat! Our advice, do not hesitate to choose Nutan Brown for your real estate needs. You won't be disappointed! 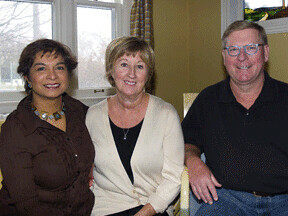 We recently worked with Nutan on both the purchase of a new home and the sale of our current home on Old Mill Drive. In short, we had an extremely positive experience in working with Nutan on both transactions and highly recommend her services! In general, we liked that Nutan has been a resident of the area for a long time and is therefore very familiar with the neighbourhood and the relative pros and cons of various locations. She was always very quick to respond to our many questions (at all hours) and always made us feel like we were a priority to her, unaffected by whatever else she had going on at any given time. Nutan definitely understood how significant the buying and selling of a house was to us. With respect to the purchase of our new home, Nutan was very diligent about keeping us posted with activity in our desired areas. Rather than just sending us all the listings, she took the time to screen all new listings and sending us only those that fit our criteria. When the right house came along, Nutan provided us with all the information we needed in order to be confident about our purchase, and the best tactics to use in order to be successful in a very competitive market. Once we secured our new home, the priority quickly shifted to selling our current home. We are thrilled with the outcome we were able to achieve on the sale of our house. However, there is no question we initially underestimated the effort involved in getting our home ready to sell. Nutan quickly convinced us that going the extra mile in order to maximize the house’s appearance would be well rewarded (and she was right). She quickly mobilized a team of dedicated professionals to get our house ready and looking its best. There was a big “to do” list for us as owners, but we couldn’t have done it without the help of Nutan and her team of professionals. It is worth noting that our house was ready to list within two weeks of having bought our new house all due to an extraordinary effort on all sides and a careful sequential staging by Nutan of all the various workstreams. Everyone involved was vested in doing the best job possible. All of the hard work paid off when Nutan was able to generate 7 offers after only one day on the market, resulting in a price that far exceeded our expectations! In summary, we are extremely pleased by all of Nutan’s efforts and feel she went above and beyond to ensure a great outcome. We would not hesitate to work with her again in the future. 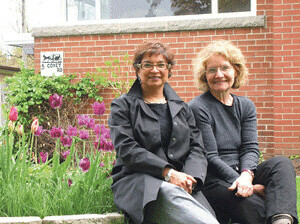 I have known Nutan for quite some time as we are both members of a horticultural society and we both love gardening. In terms of real estate, I liked the list of services she offered and her approach highly practical and knowledgeable. She seems to be always on an even keel, even when the situation becomes hectic — and sometimes it does… Moving is very disruptive in itself, but when you add downsizing, it’s even worse. Also, she was always willing to walk the extra mile, just to help you out very concretely. In the whole process, Nutan always had time to come and have a chat whenever necessary. Thank you so much, Nutan, for your tremendous input and your wonderful smile. When things were plainly crazy, it was encouraging. We had a wonderful experience buying our first home with Nutan’s help. Nutan kept us informed about the housing market, gave us great advice on where and what to look for in a home, and helped us find a house in our favourite neighbourhood in the city. Thanks to her tireless work on our behalf, our new house checked almost every box on our list, and we were able to stay within our budget. There is no denying that buying your first home can be a daunting experience. We were nervous, had many questions, and were not exactly sure what we wanted. After meeting Nutan and chatting with her over coffee, we immediately felt a sense of comfort. It was clear that she had the experience and expertise that we were looking for in a real estate agent. She understood our wants and needs as a newlywed couple looking for a home to make our own together. While Nutan was quick to demonstrate her knowledge of the Toronto market and guide us through the process, what we came to appreciate most about Nutan was that she let us make our own decisions without any pressure. She took the time to check-in with how we were feeling throughout the entire process, tailoring our search as our wants inevitably changed. We felt that Nutan really got to know us, pointing out things about neighbourhoods and houses that reflected both our tastes and values. Nutan is not afraid to put in the hard work, research, and time to lead you to the home of your dreams. She was always willing to work around our busy schedules, and took every opportunity to show us homes we wanted to see. We joked with Nutan that we were starting to see her more than our own family! Luckily for us, Nutan’s positive energy was a pleasure to be around, and the investment of her time and effort paid off. In fact, it was Nutan’s intuition that actually led us to our dream home. We would have never thought we could make it work, but she seized the opportunity to make that dream into a reality. Nutan advocated for us using tenacity and determination, while always maintaining her sense of warmth, friendliness, and professionalism. We can truly say that we love our new home, and we are so thankful that Nutan never let us settle for anything less than our vision. We knew that there would be a special feeling when we walked into “the one,” and there is no doubt that our home gives us this feeling of joy. Thank you, Nutan for everything you have done for us! We are first time home buyers who had no idea where to start, how to navigate the crazy Toronto market and what expectations to have. In a market where houses sell in hours, it's a completely daunting process. Thank goodness we had Nutan! Nutan saw house, after house, in any weather, without complaint. She helped us see what each house could be while simultaneously pointing out its limitations. She was patient as we tried to decide whether to put an offer in or whether we should keep looking. She kindly and gently helped us manage our expectations and disappointment when offers were not accepted. We ended up finding the perfect house for us! We wouldn't have had the confidence or surety to move quickly in this market if Nutan hadn't walked us through the process. Her guidance and negotiations got us the perfect house within our budget. We are so, so excited for the adventures life will bring in our new home. We are very grateful to Nutan! Our move came out of nowhere, as we fell in love with a house in a different city and suddenly, unexpectedly found ourselves in need of an agent to sell our Toronto home. We had wanted to work with someone who came personally recommended, and knew our area well, and Nutan perfectly fit these requirements. We had planned on meeting a few agents, but after our initial conversation with Nutan we felt very comfortable moving ahead and didn’t consider anyone else. What we most liked about Nutan was her calm, rational approach to our first home selling experience (in what we understood was going to be a completely wild, hectic market). We had a pretty tight timeframe, a basement renovation to finish, a new job and a one year old baby; so just needed someone to swoop in and manage the details for us. Nutan was great at reading our wants and needs, and kindly urging us along in the right direction. We moved the list date around a few times and she was happy to accommodate. We had great, open dialogue with regards to list price and Nutan kept us constantly abreast of other activity in the neighborhood. She was always only a quick email away, and checked in at all the right times so we felt well-supported but never pressured. Along with her team, she did an absolutely gorgeous job of marketing our home. All of the materials were glossy and professional, and we felt they significantly increased the level of demand for our home. In the end, our selling experience was exciting rather than stressful, and we were thrilled with the ultimate outcome. Nutan calmly helped us navigate dozens of showings and multiple offers (late into a Saturday night no less!). I cannot endorse her enthusiastically enough! Thank you Nutan. We couldn't be more grateful for the guidance and support Nutan provided during both the sale and purchase process. She knew exactly what we needed to do to maximize the value of our home and we were so happy that we followed her advice. Not only is she a true and seasoned professional, she is also a very caring and patient person. That made the biggest difference to us because selling our home was such an emotional experience. We certainly made the right choice with Nutan and will highly recommend her to anyone buying or selling. Thank you for everything, Nutan! We met Nutan at an open house just before we officially started looking for our “forever” house. We had seen her signs around the neighbourhood and knew her name as someone who knew the neighbourhood market well and could help us on our quest. For 3 years, Nutan was patient with us and respected our list of “must haves”. She recognized we didn’t want to waste our time, so was selective in the houses she sent us. When we finally found the house, it seemed Nutan recognized it before we did, and she did everything to make sure we got it. Bidding wars make for a tough market, and Nutan provided us with enough push while still understanding our limits. Although it took awhile to find out house, she always made us feel like we were a priority. When it came to selling our house, Nutan was ready the moment we signed the papers on our new house. Her team helped put our house in spectacular selling condition while at the same time being tasked with keeping two very stressed sellers calm. We are so pleased with our experience with Nutan. 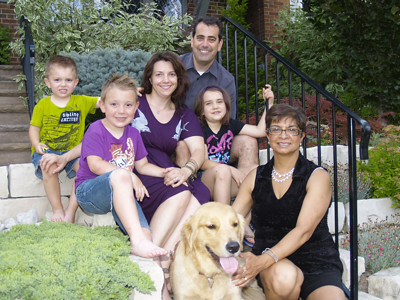 Buying and selling a house is stressful, and Nutan made the whole experience a positive one. Her energy, honesty, patience and knowledge are a combination that is hard to find in real estate. We had found Nutan through a referral from a friend who had a positive previous experience with her. We were looking for an agent with knowledge and experience in the neighbourhoods we were looking. When we started looking, the housing market had become highly competitive, requiring us to make decisions quickly. 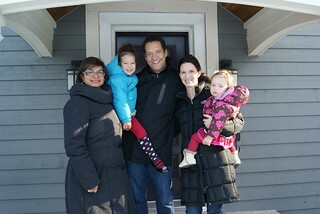 Nutan was extremely patient in showing us a wide selection of potential homes, often with our curious toddler in tow. She was thorough and prompt in following up on potential pursuits and monitoring interests in properties. We were mindful of our budget, and Nutan diligently worked with us to stay within our range. At no point did we feel pressured to pursue properties that were beyond our means, which is vitally important in going through the process of buying a new home. We have happily been in our new home for nearly a year now, and still get neighbourhood tips from Nutan. She has kept in touch on the surrounding market and our own home improvements. Nutan’s friendliness and professionalism come in equal measure, making her a highly approachable and capable agent. As seasoned property investors, we have used many real estate agents over the years. We always use Nutan Brown when buying in Toronto because of her deep understanding of the market, the west-end neighbourhoods and the buying process. With her sharp negotiating skills we consider her one of our secret weapons to help us get that special property. Oh my gosh! I have just signed myself up to move to a Retirement Community. Where do I start? Well, I have a very full three-storey six-bedroom house that has been my home for forty-five years. As well as all the other chores involved in this process, I must sell my home. 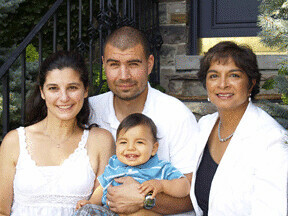 Nutan Brown has been a neighbor for many years, and she has a good reputation as a Real Estate Agent. So, I bit the bullet and gave Nutan a call. What a perfect solution! I had a few qualms about things I did NOT want to experience and Nutan, as well as being a delightful person to talk to, agreed with all my requests. I did not believe in “puffing it up” to look fancy. If the prospective buyer cannot see the potential of my house, I do not want them to buy it. Nutan said “fine”. I wanted to be out of the house before it went on the market so that I did not have to endure all the viewings. That was also fine. Then there were the family collections of forty-five years plus a house full of furniture with which to deal. Well, Nutan connected me with a team that came in and did all of the downsizing, packing and moving very efficiently and...there you go! I was out of my house, moved and settled in to my new home by dinnertime on the big day. My family said to me, “Mom, you are so worried about so many things, but you have never once expressed any anxiety about selling the house”. My reply was, “I have no need to worry, the sale of my house is in good hands.” I found Nutan a delightful lady with whom to work. She is fair and honest with both her sellers and her buyers, and is attentive to and respectful of the wishes of her clients. I would wholeheartedly recommend Nutan to anyone who needs a Real Estate Agent. My house sold immediately and at a fair price. Thank you Nutan! One fateful Winter afternoon, a family member sent us an email to check the MLS for a home in The Kingsway. With no intentions of moving from our home in the coveted area of Bloor West Village, we took a peek and were immediately intrigued. This home had so much character - from the stone facade to the large lot and the potential future for our family - a country home in the city. We were interested enough that we were now in need of a Real Estate Agent. Nutan’s name had come across our paths a few years earlier. We were told she was the kind of agent who really cared about the best interests of her clients and that she would always end up as a part of the family. We met with her briefly and although, at that time, we were only casually thinking of moving, Nutan continued to follow up every so often and she would send us a listing here and there, that she thought might be of interest. Until we saw that Kingsway home, nothing really jumped out and then there wasn’t a question who we would call to be our Agent. In fact we didn’t even consider anyone else. Nutan spent the time with us as we considered this potential new home and she provided us with lots of research so that we could make an educated decision. After a couple of weeks, we made an offer that was lower than asking and so we thought the sellers were never accept. But Nutan’s sharp negotiating skills got us the house! We were both thrilled and shocked that we had bought a new home... after having no intentions of moving! Now we had a tight timeline to get our Bloor West Village home on the market to sell. Nutan kept us calm and offered us the reassurance we needed during this stressful time. Through daily communication, she made sure we stayed on track and organized. We took her advice towards some very minor improvements and to retain the services of her amazing home stager, Diana Ross. We hoped this would yield us a terrific sale price for our home. On our day our Bloor West Village house went on the market, it looked like something out of a magazine. Nutan had photographs taken, floor plans drawn up, beautiful pamphlets printed, she had our home pre-inspected, and she hosted a very successful Agent’s Open House. That afternoon we had back-to-back private showings booked. Low and behold, that very evening, after all the preparation and less than 12 hours on the market, we received 2 bully offers. That night, Nutan walked us through the process and we accepted one AMAZING offer we just couldn’t turn down. We were in shock, once again. And yet we walked away from that evening thankful for how hard Nutan had worked for us. Five months later, we are so happy in our Kingsway home. This is truly our forever home. We have room to expand, improve and make it our own. 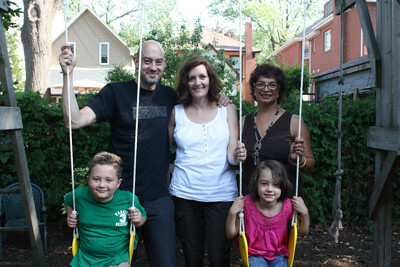 The time we spent in our Bloor West Village home has already escaped the memories of our three year old twins. It’s here, in our new home, that we will make a lifetime of memories. And we want to thank Nutan, from the bottom of our hearts, for her warm, friendly, patient, energetic and helpful self, You have become a part of our family and we couldn’t have made it through this process without you. House-hunting can be a stressful time - especially in hot areas in Toronto where you’re dealing with bidding wars, home inspections, endless weekends viewing with bidding wars, home inspections, endless weekends viewing houses (often with 2 kids in tow…). When we were fortunate enough to finally land a new place at the end of October, we essentially had a month to complete the sale before December when we thought the market would cool down. After interviewing a few agents, we chose to work with Nutan Brown based on her experience in the neighbourhood. She had a thoughtful approach, and we really felt like she had our best interests in mind. Nutan made arrangements for a stager to come in add more light and some very nice touches. Her team of cleaners and photographers all worked together to make our house look fantastic. We also moved to our in-laws for a few weeks so that we could run open houses and nightly viewings without interrupting our kids’ sleep schedules. While this was a stressful couple of weeks, Nutan kept us in the loop on conversations with agents, potential buyers, and followed up on leads. She also went above and beyond her job while we were away - checking in on the lights, and making sure the house was secure, which gave us peace of mind and one less thing to worry about with a young family. After two and a half weeks, we found the right buyer and came to an agreement that was win/win. Nutan guided us through us through the whole process of preparing a house for sale to the final closing date. She made us feel confident that buyers would love our home. SHe did this with smiles and gentle reassurances as we experienced all of the emotional highs and lows that come with letting go of a happy home that had been filled with many years of wonderful family memories. Nutan was also knowledgeable and competent in doing her job as a real estate agent. She always responded to questions quickly and advised us with my family’s best interests at heart. She always responded to questions quickly and advised us with my family’s best interests at heart. She was always respectful of our point of view and she always accommodated our ideas and wishes in her plan of action. She was resourceful and helpful whenever we needed her help for anything. From finding trades people to do handy work, to protecting my family’s privacy during the process she was there for us. Nutan was generous in her professional duties to us. She was also very pleasant and kind spirited. It was easy to trust her to handle all matters related to the house sale with intelligence, diplomacy and creativity. She kept us informed and was always able to help us differentiate between reality and fair expectations. We had the pleasure of working with Nutan this past fall in the search for our new home. We were looking for a realtor with extensive knowledge of the Bloor West/High Park/Junction area as well as a realtor who’s got some history in the area. Nutan has lived in the area for almost 30 years. That speaks for itself! Upon meeting Nutan we were both convinced that she was the perfect person to find us the home we were looking for. She is warm, friendly, patient and extremely knowledgeable. She viewed countless homes with us and by getting to know us was able to recommend other homes that may be of interest to us. We never felt rushed, pressured or like we were taking too much time to make a decision. We genuinely felt like Nutan had our best interests at heart and that she wasn’t just looking for a “fast sale”. We started our search with a very defined area in mind in which we wanted to buy a home. Nutan helped us move slightly outside our comfort zone and in the end we purchased our home outside of our initial search area. We’re convinced that Nutan’s advice, approach, personality and professionalism helped us “win” our home when faced with a bidding situation. We couldn’t be happier with our home or with the service & advice that Nutan provided. Both of us would recommend Nutan to our friends. When the time comes, we’ll be calling on Nutan’s services again. Selling a house is a stressful time. You want a partner that will be there for you, answer your questions with honesty and instill confidence. Nutan was just that for us. With two small children we wanted to sell our house quickly, and for ask. Nutan delivered. Nutan's team worked quickly to get our house in shape. And the results were stunning! Hopefully we don't have to move again any time soon, but if we did, Nutan would be our only choice for an agent. 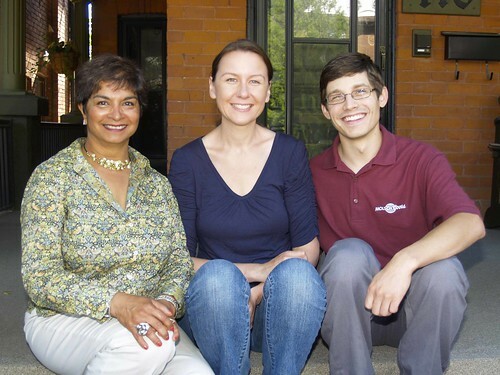 'We had the pleasure of working with Nutan this past summer on the purchase of our new home. As first time home buyers we were very overwhelmed and didn’t know were to begin. Our first experience with an estate agent was far from ideal, which made us feel even more hesitant on moving forward with buying a house. We decided to meet with Nutan simply because of how polite she was when she responded to an email. By the end of the meeting our minds were put at ease, as she reassured us that we were in good hands and that she was willing to stick with us for as long as it took to find us our ideal home. 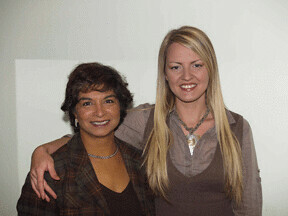 We first met Nutan through our good friend Debbie, who had worked with Nutan to buy her first place. 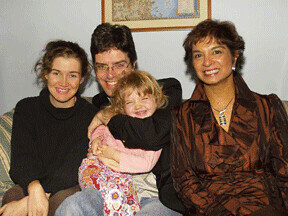 Debbie couldn't say enough good things about her, and we were convinced she sounded like the right person to help us relocate to the east end in Toronto. 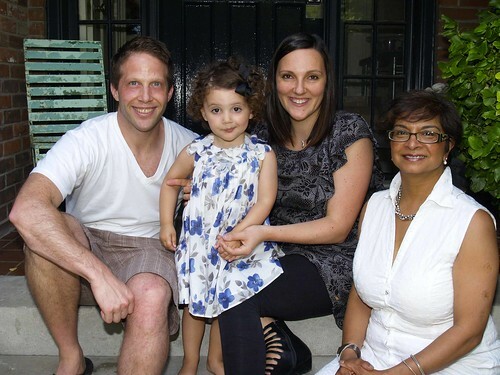 Nutan worked tirelessly to help us sell our then current home, and helped us relocate to a friendly family neighbourhood in the Upper Beaches. 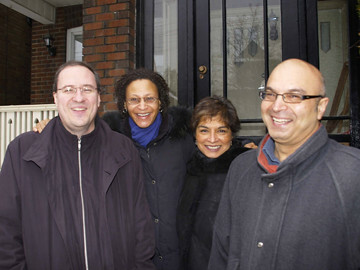 It was during this time we also had the pleasure of meeting her wonderful brother Anil, an expert in east-end properties who helped us explore and discover this part of town. A few years passed, and we jumped at an opportunity to relocate to beautiful Vancouver, BC. We had to move quickly, and decided to try our hand at being remote landlords - something we did for a year, but didn't feel was right for us. After deciding to stay in BC permanently, we knew we would sell our Toronto house and the only logical thing to do was to contact Nutan. She and Anil worked tirelessly to get our home ready for sale while we were absent. They overcame many challenges on our behalf, and we are forever grateful for their patience, guidance, expertise, professionalism and overwhelming kindness. I would recommend Nutan and Anil to anyone - they are trustworthy, talented and generous agents who are extraordinarily kind-hearted and fun, too. Thank you so much for everything. We look forward to seeing you anytime you're on the West Coast! This was my second home-buying experience with Nutan, and I didn't make it easy on her! I had a long list of requirements and when only one home on the market in the area I wanted was available, she worked tirelessly to get the price down and the deal done after several offers were exchanged between myself and the seller. She was able to take a difficult situation and make it easy, focussed and ensured my best interests were addressed when representing me. When all was said and done, my girls and I have a wonderful place to call home and it's no small thanks to the hard work of Nutan! When my husband and I decided that it was time to move, we knew that one of the most important things for us in this process would be choosing the right realtor. We met Nutan at an open house and knew instantly that she was the person for us. It was important for us to have someone who understood our needs and could appreciate our choices. Responsible, patient, knowledgeable, organized, professional and fair – these are but a few of the qualities that Nutan demonstrated in the time that we spent working with her. Our journey began with what seemed like an endless search for the perfect property. We knew that in order to leave desirable Bloor West Village, our new home would have to be perfect. We were able to achieve our goal but our journey would not end here. We now had the daunting task of beginning a renovation, listing our current home and finding an appropriate rental property to live in while my husband and his team worked on our latest project. With a contractor husband and multiple prior renovations already under our belt, the only difference this time was the addition of our young son. Nutan understood our wish to keep things ‘normal’ for him and spent many hours visiting rental properties with us so that we could reach this end. She coached us through the sale of our home and mentored us through the decision-making process, all the while ensuring that we always felt comfortable and re-assured. She maintained contact with us throughout our renovation and now, one year later, has celebrated its completion with us. In short, Nutan kept us in very capable hands. A dedicated professional, this personable, warm and caring individual has become someone we like to think of as ‘friend’. Many thanks Nutan! Nutan was an absolute pleasure to work with to get my home sold. She is as personable as she is professional: a rare quality! Her attention to detail highlights her many years of experience, and her work ethic is tireless as she goes above and beyond to get the deal done. Other agents respect her, and prospective clients feel secure interacting with her. She is the whole-package when it comes to Real Estate: experienced, personable, and honest. If you need an agent whose reputation matches the reality, call on Nutan! After living in our house for only two years and finally completing significant renovations, we found out that my husband was being transferred to Ottawa. Although the prospect of an impending move was stressful to say the least, having Nutan as our agent helped immensely. On our very first meeting, she impressed us with her warmth and her down-to-earth nature; throughout the process she was extremely professional and helpful, often going above and beyond the call of duty to help us get our house ready for market. We would recommend her in a heartbeat. Thank you, Nutan! When we decided we wanted to move closer to our downtown jobs, we thought the ideal area would be Bloor West Village/High Park. We started looking on-line to see what was available and when we found what we felt would be perfect for us we knew we needed a good agent. Nutan was recommended to us by a co-worker who knew her by reputation only. Well, once we met Nutan we knew where the reputation came from. She helped us through the entire process, encouraging us through the tough negotiations and ensuring us we were moving in the right direction. With Nutan’s knowledge, patience and grace, we were successful in obtaining our beautiful home. One of the best things about the entire process is that we not only have an agent who we will definitely engage for any other real estate dealings we have, but we have found a dear friend, who has become a part of our lives. Nutan is not just an agent, she is a trustworthy, dependable, supportive friend. I sold my condo and was on the hunt for my first home, by myself! It was nerve racking as I didn’t really know what specifics to look for, and had a very tight timeline to find something great. Nutan was happy to dedicate her time in my search, and within just two weeks, I found a wonderful first home. Nutan was extremely supportive during this process and made sure to ask all questions necessary to ensure we were on the right track. Nutan is my only option for a Real Estate Agent. Her energy and commitment to her clients is above and beyond anyone I’ve met. She is honest, reliable, and a true friend. I am so grateful that I ever met Nutan, and will always turn to her for any real estate transactions in the future. to us by our close friends. get it just below asking in a hot market! Her work ethic and customer service skills are second to none. I was introduced to Nutan through SNAP when I had the opportunity to photograph some of the families she has worked with. Nutan never "pressed" us to be our agent, and nothing formal was ever signed. She informally answered my questions and the next thing we knew, Nutan had arranged for us to receive the daily MLS updates. I know that everyone feels that they got a "good deal" when they buy a house, but we genuinely think that Nutan's non-abbrasive approach with the seller and selling agents helped us get the house we wanted for a fair price. We felt we were walking through prospective houses with a friend, rather than an agent. In our case we bought our house on the Monday of a long-weekend. I had called Nutan on the Saturday to set something up a viewing for some time after the weekend. But Nutan had us in one house Saturday, another Sunday, and we bought the net day. Some other agents would have been content to wait until after the weekend, and if we had done so, there is no doubt, we would have missed out. When we drove away from our new home after viewing it with Nutan, we asked the kids what they thought, Ella was quick to respond: "Nutan rocks!" Always pleasant, always on time, and always quickly returns phone calls and emails. Kelly, Colin, Ella, Nolan, Carson and...Marlowe! My husband and I found out I was pregnant about 6 weeks before I was set to leave town for 4 months. I’d be 6 months pregnant by the time I got home, and our apartment was the wrong size, set-up, and location for a baby; it even had some cockroaches! We needed to find a new house – fast. 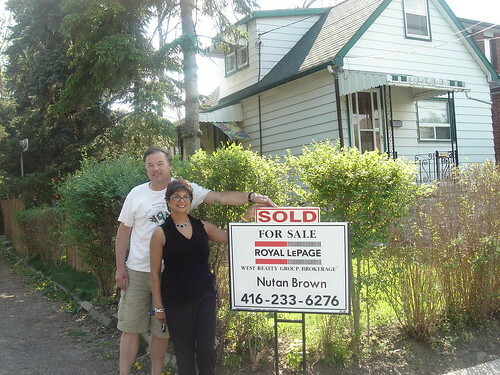 We knew we wanted a house in Bloor West, High Park or Roncesvalles. We knew we wanted a big space, with a backyard and proximity to the subway. And we knew we needed a spectacular agent who could overcome all the hurdles we were throwing at her: short time line, popular neighbourhoods, exacting standards from the buyers, and a hot real estate market. We were very lucky to find Nutan at the beginning of our search. We saw 20 or 30 houses with Nutan, and bid on 6 before we bought our home. Nutan was always on top of the listings. Every morning, we awaited her emails and her briefings on the pros and cons of various properties. She knew our price range and never pushed. She quickly came to know what we liked and wanted in a house, and saved us time and energy by weeding the matches from the mis-matches. Touring houses with Nutan was a joy. We never got the “hard sell” from her; she never pushed or cajoled. Instead, she would offer her honest, informed opinion when asked, and when she didn’t know an answer, she’d look into it for us. When it came time to make a bid, Nutan would use her considerable knowledge and expertise (and uncanny capacity to predict the selling price of a house!) to help us determine an appropriate strategy, and respectfully advise us as the process went forward. Her patience and determination to help us find the right home, during an exciting and stressful time of our lives, was absolutely priceless. We’ve kept in touch because we consider her a friend and trusted advisor on real estate. 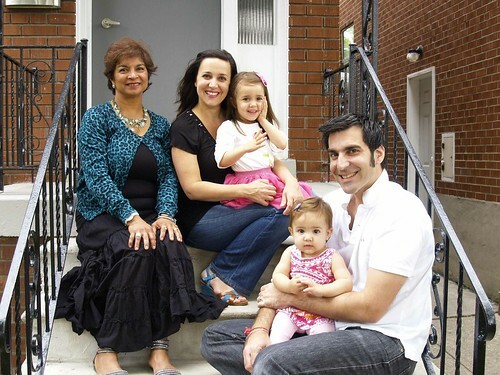 “We approached Nutan during the fall of 2009 to help us search for a new home in Toronto. We are experienced home buyers but Nutan’s service to us went beyond what we would call the norm. Not only did she steward our needs but also kept us well briefed and realistic about the market status, price points and the real estate tactics commonplace here in Toronto. In a bit of a leap of faith, we decided to take a chance and make an offer on a larger home in our neighborhood before selling our current home. A nerve-wracking situation for sure, but with Nutan on board everything moved quickly, smoothly and, most importantly, successfully! She's an astute and aggressive business woman to be sure, but more than that, she's committed to making her clients' dreams come true. Nutan was willing to take a chance on an unusual situation and made it work on both ends. She was able to sell our home in 5 days for well over the asking price, while making the purchase on our new home for well under their asking price. It doesn't get much better than that! I recommend Nutan to anyone who will listen - if you want to buy or sell she knows how to get it done, and she'll do it like the smart best friend you wished you had! 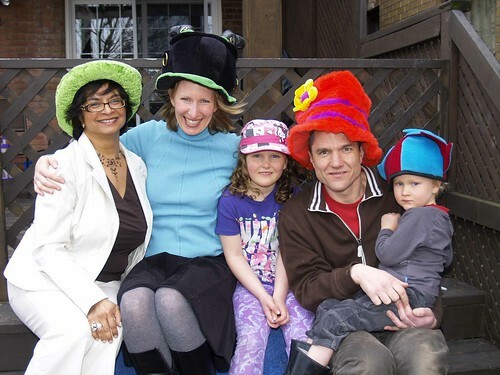 My husband and I had been thinking of moving but wanted to stay in the Bloor West area and didn’t want to have to move schools for any of our three children. We had been watching the papers and checking out listings in our area for a couple of years but hadn’t seen anything that met our needs. We finally decided that if we were ever going to find the right home in our area we would need an agent. I had seen some of the testimonials from Nutan’s other clients and decided to give her a call. That week we met and I explained we really liked where we were so in order to move a new house really had to be something. We gave her our list of what we wanted and she set to work. It was not an easy task as we had a very small area to consider in order to stay close to the three different schools our children attended. 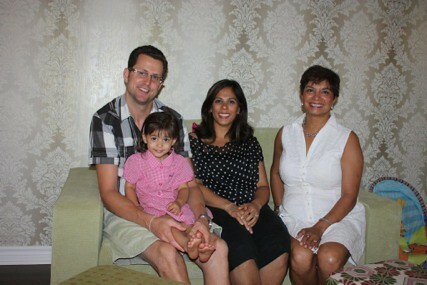 Nutan immediately developed a great understanding of our family lifestyle and was so accommodating. What really struck us though was how in tune she was with the market. We were very impressed with her ability to see a house and estimate what it would really sell for. At the same time, she also gave us great recommendations on what we could be working on at our current home to be ready to sell when the time came. Another great asset is her patience. We often thought we must be her worst clients as we were not willing to compromise on our wish list at a time when houses in our area were few and demand was high. After almost a year we were shown a listing that sounded interesting. It had just come on the market and the timing for offers was very tight. We had an appointment to see the home within hours of viewing the listing and knew as soon as we saw it – this was the one. Nutan guided us through the offer process and, thanks to her great sense of what the house was going to sell for, four days later we were owners of a beautiful new home on the perfect street. When it came time to sell Nutan was able to recommend a wonderful stager who helped us quickly get our home ready for sale. She staged a very successful open house and in 5 days our house was sold for what we had hoped for. Nutan was wonderful as well at providing us with information and references for other moving/home related businesses. Through Nutan we found our lawyer as well as a great contractor to install our new hardwood floors. Buying, selling and moving a family with three children, a dog and a lizard is not easy but with Nutan it was a pleasure. It had been several years since we had been through the process of buying and selling a house. Nutan showed us several houses with her no-pressure approach, until we found the property we wanted to purchase. Throughout the process, she promptly carried out our requests, and made herself available at all times. When it came to selling our house, Nutan’s advice and assistance were invaluable. Her excellent marketing enabled us to sell our house with multiple offers, within a week of listing. We would not hesitate to recommend Nutan for her courteous, professional and efficient work. We recently put our house on the market and we had no hesitation in deciding that Nutan was the best person for the job. Our property, by the Humber River, is very unique and we knew that it would be a challenge to get the right buyer and the right price. Nutan and her team set out immediately to present the property at its most advantageous and spared no expense and effort to advertise and create very attractive promotional material, terrific photos and Virtual Tour. Above all, she listens and responds to our requests but is also very in tune to real time market trends which helped expedite the sale of our house. This is the second time Nutan was our agent of choice, doing a great job as both buying and selling agent. We would be more than glad to provide a reference testifying to Nutan's outstanding abilities as a real estate agent. life decision an easier one. Last April, I decided it was time to put down some roots with my young son and buy our first home. Being a potential first-time home-buyer, I had no idea how to move forward in my search, if I could afford my own home, or if I was in fact, getting in over my head. Then I saw Nutan’s lovely face on one of her “For Sale” signs, and knew that she was going to be part of my search. I was ready for the hard sell that many of my friends had experienced with their agents, and was pleasantly surprised to discover that wasn’t Nutan’s approach. She quickly helped me narrow down what I wanted in my first home and was very responsive to my quick timeline—I had about three weeks to find our new home. Thus began our epic Thelma and Louise approach to house-hunting. Nutan sent me numerous listings over the course of the first 2 weeks and each day we’d jump in my car with tea and coffee in hand to visit four or five houses. I have to admit that what I saw in those two weeks could have discouraged the most seasoned of home-buyers, but Nutan never lost hope. “We’re going to find you and Owen the perfect home,” was her mantra. One rainy evening during our last house-hunting week, Owen, Nutan and I walked into a house that appeared different from the rest. This was the first house that Nutan would have approved of for Owen and I, and with her keen “spidey-sense”, she knew it would be scooped up right away if we didn’t put an offer down immediately. So I did exactly that and the rest is history. Nutan is the consummate professional—no detail is overlooked—but what stood out for me during my house-hunting experience and continues to be true, is Nutan’s genuine wish to help each person find exactly what they are hoping for. I felt like I was house-hunting with a long-time friend…someone who had my best interests at heart…someone who would gently steer me in the right direction…and someone who would see me through this first-time experience and beyond. Nine months later, I’m still in regular touch with Nutan and Owen has decided that Nutan is, “his best lady ever”. High praise indeed from a four-year old. Thank you from the bottom of our hearts, Nutan. 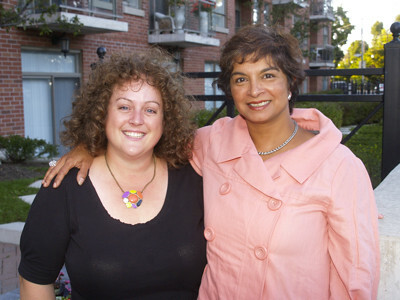 I encountered Nutan several years ago while touring an open house in the Junction. She was helpful and answered all my questions and concerns. But at that point I was not ready to purchase a home. 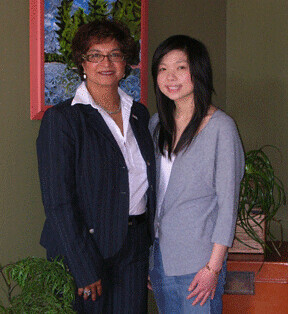 I met Nutan again at another open house in my Bloor West Neighbourhood and experienced the same caring professionalism. 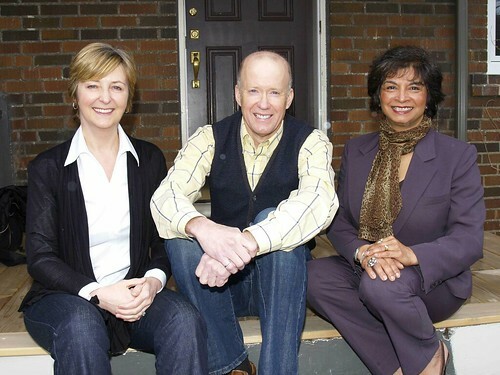 When my partner, Patrick and I were ready to purchase our first home in March 2009, we wanted Nutan to be part of that experience. 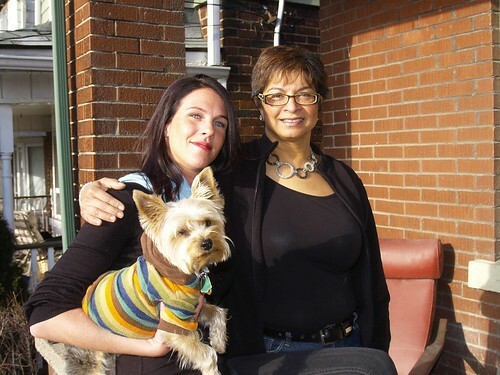 She was empathetic to the anxiety of first time buyers and guided us through the process. We never felt pressured or rushed. We highly recommend Nutan for her caring professionalism. In speaking with a number of friends about the purchase of their first home, we were prepared for a lengthy and frustrating road ahead. 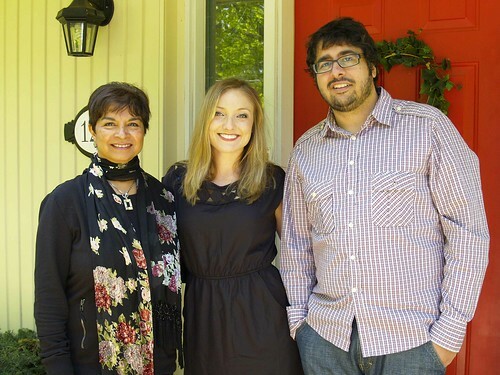 Working with Nutan and Anil made the purchase of our first home not only effortless, but an experience that was far less difficult than we imagined. Their knowledge of the area and in the buying process was an absolute advantage for us ensuring we understood and benefited from the opportunities afforded to a first time buyers. I think the best part of the entire experience was the service and communication after our home had closed. Nutan was committed to making sure we were settled and happy with our purchase and even greeted us with breakfast on the first weekend in our new home! Nutan truly went above and beyond what any real estate agent needs to do and has thoroughly impressed us with her passion and professionalism. We would highly recommend Nutan to family and friends and in fact have already started to do so. I couldn’t have hoped for a better experience and feel like we have not only found an amazing home but have gained a great friend and in the process. Thanks again for your services Nutan and Anil – we couldn’t be happier! Our family’s experience with Nutan in selling our first home and searching for another for our growing family was overwhelmingly positive and successful. As we tell anyone who will listen: “Nutan Brown is a class act.” She is the total package you could ask for in a real estate agent: savvy and sophisticated, while maintaining a warm yet professional attitude at all times. Nutan was astute in accurately reading the market in Bloor West Village and gave excellent advice in the preparation of our house for sale. During the very short time that our house was on the market, Nutan went above and beyond what we could have ever imagined to ensure that our house glistened for each viewing as well as the Open House. We give Nutan full credit for the quick sale of our home and the attraction of multiple offers. We recommend Nutan without hesitation to anyone looking for a stellar agent to buy or sell a home. When first looking for a real estate agent, I had certain expectations of the kind of person that I wanted to assist me in my search for my first and new home. I told myself I would only work with someone who had my best intentions at heart. I had no idea what kind of property I wanted, whether it be a condo, townhouse, or a house??? So to begin my search, I wrote down a few phone numbers of agents from “For Sale” signs in the west-end and started my search. After many calls and many call backs from agents, I was not very impressed. A little disempowered, I received a call to come and meet with Nutan and her brother, Anil, to discuss the parameters of my search. It was the first time I was approached in a friendly, helpful, sincere and not-at-all pushy way. We had a very productive meeting and then they got busy immediately finding a suitable property for me. After looking at many properties, we found a townhouse by the lake in the west end of the city close to my shop! I loved it from the beginning and felt well-represented by Nutan and Anil, both agents with a great deal of integrity! Nutan was so committed to helping me realize and own this lovely home; she worked diligently to negotiate a manageable and excellent price for my new “dream home”!! I am now the proud owner of a beautiful home and the entire experience was absolutely awesome, from start to move-in date. Nutan, you are truly an amazing real estate agent and person and I would recommend anyone who is thinking of selling or buying a home to work with you. Nutan will not only get into your world of what you’re looking for in a home, but also get into your heart! Nutan you are welcome to my house anytime! And thanks so much for coming to the house warming party! By luck, we met Nutan through one of her listings and knew that she was the right person to provide us with the expertise we needed for Toronto’s west end housing market. Although the first home wasn’t the one, over the next 6 months, Nutan was kind enough to forward periodic listings that fit our criteria. When the right one did appear on the market, Nutan was quick to provide a personal showing. 2 days later we were the owners of a new beautiful home! Nutan’s attention to detail surpassed our expectations. 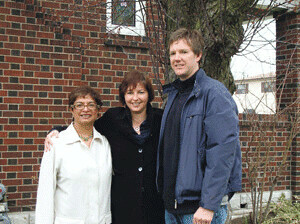 She was able to recommend a local contractor and provide support in a new neighbourhood that eased our anxiety. Her professionalism and pleasant manner has made our move an enjoyable one. We thought we found a Real Estate Agent and instead found a friend. Nutan, your warm smile, knowledge and enthusiasm are just a few of the qualities that have helped you to achieve such success in your career. As you know, the experience of buying a new house and selling my home was very exhilarating and emotional, to say the least. Your professional advice and expertise was always available to guide me through the process and ultimately bring successful closure in the selling of my home. Looking back, I am so thrilled that I contacted you to organize a viewing of my future dream house. It offered me a chance to get to know you on a professional level...along the way I was introduced to a thoughtful lady who listened to my needs and eagerly responded to help in a kind and caring way. Once all the dust settles, so to speak...I am looking forward to our friendship evolving as neighbours. Warmest regards and continued success. "As a professor of architecture, designer and owner of PhD DESIGN INC.architectural office devoted to preservation of architectural heritage of The Kingsway I had some very specific requirements of the type of property I was looking for: something unique with a rich history that would require renovation and/or restoration. Nutan was fantastic at sourcing out these kinds of homes; I was shown a number of properties that met my criteria, but it was 30 Government Road that we both fell in love with!! This charming farm house is designated a “listed” property, and located in the heart of The Kingsway. It has been occupied/owned by the same family, the Phillips, for 137 years. It has been a much admired and valued property by the local community and neighborhood. I am very excited at the opportunity to restore and preserve this important Kingsway landmark back to its original architectural detail. Peter Marzynski of PhD Design Inc.
wow, great web site, your designer did a good job. Liked the content, the pictures and the info there. I agree wholeheartedly with all the testimonials, you are a really good agent and an asset to anyone buying or selling a home. Good work, a loyal fan. 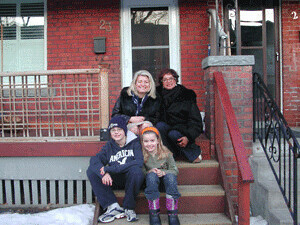 Following yet another unproductive search for our first home, we decided to make one last stop at an open house in the Junction area of Toronto. We had been searching on our own for several months to no avail, as we were unsure of where exactly in the city we wanted to purchase. We felt it best to zero-in on a particular area before settling in with an agent. 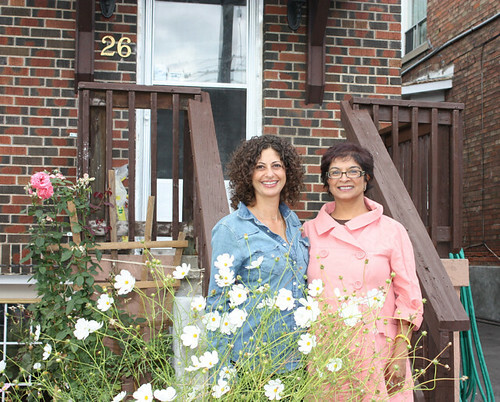 When we entered the Junction open house, we were instantly greeted by a warm, friendly and energetic real estate agent – Nutan Brown. Nutan seemed genuinely interested in us from the get-go. The week following our visit to the open house, she kept us updated both by telephone and email on the progress of the sale of the house. Although that particular home ultimately was not what we were looking for, we decided that Nutan was exactly the agent that we wanted to represent us through the purchase of our first home. We discussed the parameters of our search with Nutan and she was determined to meet our particular needs. She began sending us regular listings of homes for sale, and after only a short while with Nutan, we found the house that we are extremely excited to make our home. Nutan has definitely become a great friend to us. While we are so excited about our first home purchase and preparing to move in, we are saddened that our dealings with Nutan are nearly through. We trust Nutan’s advice and we were never made to feel pressured in any way. Her pleasant, attentive and supportive character and her knowledge of the market are exemplary. We will not hesitate to recommend Nutan Brown to any of our friends and family should they be looking to buy or sell their home. Her service most definitely exceeded our expectations. What could have been a daunting and stressful experience turned out to be quite the opposite – stress-free and enjoyable! 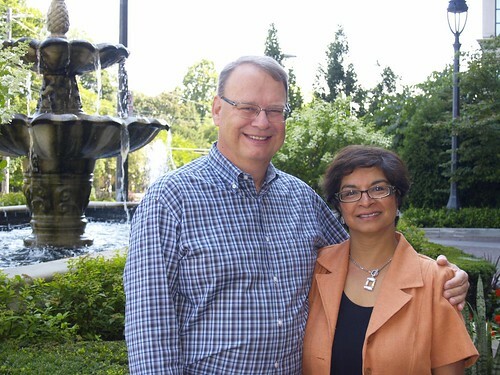 Once we found the home that was to become our first, we worked with Nutan Brown, who helped us with all the aspects of the actual purchase including recommending a home inspector and finding a mortgage broker. In retrospect, even though we were intimidated by the decision we were making i.e. to become homeowners, the whole experience was relatively painless and quite comfortable. This was in no small part because we were working with someone who was always pleasant, patient & understanding. We've kept in touch with Nutan since and recently she found for us, and helped make it possible for us to buy our first piano, a beautiful antique that sounds fabulous - thanks Nutan!" When the time came to sell our house, we knew that a professional agent would be a help - but we didn't realize how much we would have missed without Nutan Brown! For starters, we wanted to price the house to sell at a realistic value. There were several houses in our neighbourhood that stood unsold for many months because of unrealistic expectations by the sellers. Nutan guided us to a good understanding of current prices, with the result that we got what we wanted within two days of showing the house. While price is important to every buyer and seller, the process of selling is one most of us rarely do. We relied on Nutan's advice and guidance in preparing our house for market, both the personal touches of cleaning up and presenting, but also her pre-sale marketing preparation, which included a pre-listing home inspection, professional photography, and multi-page feature sheets. It's always a pleasure to work with someone who is a true professional at their craft, and even more so when they are as genuine and comfortable to work with as her. She was a pleasure to deal with. Nutan's efforts rewarded us with a lot of viewings in a very short time, and she was very diligent and organized in getting everyone in as quickly as possible. Offers appeared immediately, and we faced the pressures of making a big decision. We were very comfortable discussing everything with her, and she thoroughly understood and represented our position in negotiating the winning offer. It takes patience and creativity to deal with these situations, and Nutan has that and more. We were delighted with how painless the whole process was, and while we don't expect to be selling again for many years, we would use Nutan again, and we recommend her without reservation to anyone who is facing the serious matter of buying or selling a home. "Nutan is energetic, determined and loyal but most of all she is full of honesty and integrity. She supports you when needed and has the courage to challenge you too! She is delivers her best every moment - even at the stroke of midnight, which is almost the time that we sold our beloved loft and bought our new townhouse (which we love!). " "Nutan Brown is the most caring, most diligent and most professional real estate agent I have ever encountered! I was so lucky to have found Nutan to help with my house hunt - she was persistent and really stuck with me, and went well above and beyond the call of duty on numerous occasions. Nutan takes a personal interest in her client's needs and really listens to them! I just bought a terrific house and I have Nutan to thank for it!" What can we say?...Buying a house in Toronto, on a budget, is not easy! Outstanding virtual tour of house with area around it and very high quality and well designed feature sheet. Both these really showed the house and garden. The buyer looked at the virtual tour of the house first! Sold within 2 weeks close to asking price. Nutan Brown is no stranger when it comes to selling a home. She strongly believes in working hard in order to fulfill her clients' needs. She has built a reputable reputation in the industry and has a "can-do" attitude. If you're looking for a professional sales agent, call Nutan! Nutan, we are truly grateful for all your hard work in selling our home and in buying a new one. Your suggestions on ways to improve our house were successful. Not only did we sell our house in less than 1 week, but we received $30,000+ over asking price. WOW!! Thank you for your advice, your honesty and your kindness. You are truly a beautiful person and we hope to keep in touch. Dealing with the sale of a house to which you have great emotional attachment can be a traumatic experience. 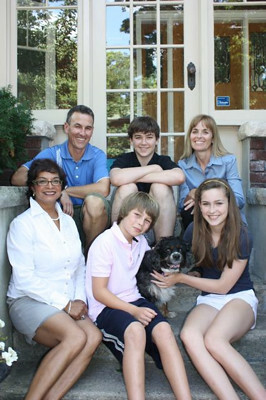 Nutan Brown’s sensitivity allowed her to understand that sometimes much more than just selling a building is involved. With great tact she turned an experience that could have been painful into a most pleasant one for us. Her sunny personality, her good humour, her professionalism, talent and hard work, had the place painlessly sold, to the right people for it, in a week. And – which didn’t hurt either – for well over the asking price. We know we found a splendid agent in Nutan and can’t thank her enough for her excellent work on our behalf. Our family has recently purchased a home with Nutan’s help in our desired neighbourhood, for a price that is financially manageable for us. And the home...! It was love at first sight! With Nutan, we purchased it in 24 hours. It was like a dream; there was no stress involved, everything was smooth and quick. Nutan presented herself not only as a great and experienced professional but also as a genuinely caring individual, who did everything possible and more to guide us through the purchase process and to make the experience a memorable and happy one. I will most definitely recommend Nutan and her services to my friends and colleagues, as we were extremely satisfied throughout the whole process. I never went through these... these are great! Nutan Brown did the impossible for us! In the middle of a serious economic downturn when it seemed real estate sales had come to a complete halt, she confidently sold our house and found us the perfect new home. She showed immense patience as we struggled to define what we were truly looking for in our new home. Nutan successfully blends her kind and generous and kind spirit with a keen business sense and complete commitment to customer service. If you are considering buying or selling a home you will be well served to have Nutan by your side! Working with Nutan was an absolute pleasure. As a first-time home buyer, I was nervous to begin as I was unsure how exactly many aspects of the purchasing process functioned. Nutan guided me throughout it all, and was knowledgeable, punctual, and made herself very available. She was on top of sending me new listings and was someone I could be fully honest with about what I was looking for and my budgetary guidelines. Nutan ended up finding me my dream home! I couldn’t be happier – in my ideal area, at an acceptable price, and with perks that make me grin every time I think of my new home. Our family thought long and hard about the decision to sell our home bought by my parents in 1958. With its ravine lot and beautiful original details intact, the house was a constant for 3 generations of our family and there was a lot of emotion involved. We knew we wanted a real estate agent who would be sensitive to that and yet guide us through the process in a practical and efficient way. Nutan Brown was the obvious choice from the beginning. I knew her as a neighbour as well as by her reputation of providing as she says, energy, commitment and results. It was a perfect match. I well remember the day Nutan first viewed our home and how struck she was by the lot and the seamless 2-storey addition. She also pointed out features of the home which buyers might view as requiring renovation but was always kind, diplomatic and forward-thinking. She provided us with excellent contacts for some minor repairs and had the home professionally decorated in order to show it off to advantage. All along the way, Nutan was exceptionally quick to respond to questions and tracked our progress in preparing the house for sale diligently. She was always supportive, encouraging and helpful. When it came to marketing our home, we could not have asked for better exposure. It generated multiple showings within a few days and before long Nutan presented a fair offer. She delivered on her promise to personally be present at every showing. I will never forget the snowy night when Nutan told us the house was sold; this is where her heart and compassion really shone through. In all of our dealings with Nutan, she was consistently respectful, practical and wise. She is an exceptional agent and we would not hesitate to recommend her to anyone in need of her superior services. We felt very comfortable working with Nutan on the purchase and sale of our home. When searching for our new home, her patience and low pressure approach was very appreciated. 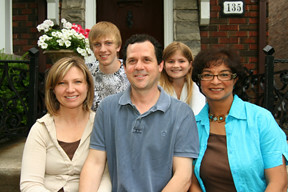 We were not in a rush to find a new home and we took our time to find the right place for our family. When it came time to sell our home, we were so impressed with not only her personal expertise, but that of her team of local vendors and suppliers who helped us get our home ready to list within a very short time. The advice and assistance they provided in preparing our home for sale was invaluable and resulted in a very quick sale, well above the asking price. Ours was a positive and successful experience and we would warmly recommend Nutan to others. I first got to know Nutan when she helped me buy a home nine years ago. I met her at an open house and was impressed by her knowledge of the community and her kind and inviting approach with people. We got to work immediately to find a home and I quickly realized that this woman is a customer service machine! She was always available at a moment’s notice to set-up appointments and show houses. Regardless of how difficult I made her life with my last-minute approach to scheduling, she would always arrive on-time and with that same bright smile. Needless to say, when it was time to sell, we knew who to call for a professional approach and top-notch service – Nutan Brown. Consistent with my last-minute approach, we asked Nutan if she could list our home immediately. 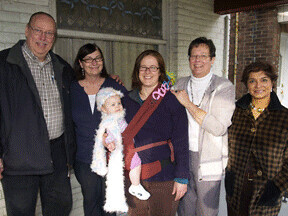 Before we knew it, she had a team of people helping to prepare our home and we were ready for showings within a couple of days. Nutan was superb during the negotiation process. Her calm and eloquent cadence kept us composed and grounded even when discussions became heated and energized. Within six days there was a sold sticker affixed to the sign on thefront lawn! Hiring Nutan to help us was a no-brainer. Her knowledge and support helped us navigate the largest single transaction of our lives with confidence. We knew that with Nutan working for us, everything would be done promptly, completely, and professionally. I, Mark Levin would like to share my selling my family home with Nutan Brown of Royal LePage West Realty Group. The first thing you must get is a seasoned, reliable, trustworthy and friendly go-getting real estate agent. In the West end area of Toronto which includes the Baby Point Road area there is none better than Nutan Brown. Not only does Nutan bring the experience you need but her special brand of really caring about her clients’ needs and requirements for a successful sales transaction. 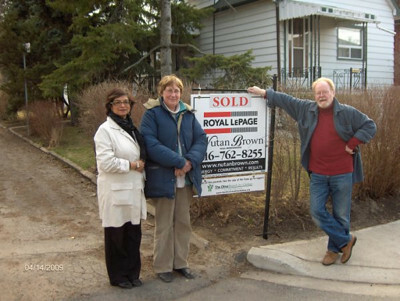 Nutan Brown does it all for her clients from beginning right through to sold sign. I looked into other agents but knew from research that there was one clear cut agent for me, and that was Nutan Brown. Nutan made us feel very comfortable at our first meeting and after this I knew I had my realtor. Throughout the process Nutan made the necessary suggestions, to us, on how to showcase our home, from positioning furniture, cleaning/decluttering/staging, to the pictures of the interior & exterior of our home. Before I knew it offers came in and we accepted one of them and let's just say that without Nutan Brown we would have been lost in amongst the paperwork. We sold our family home of over 60+ years, and made a new and valued friend along the way!! So if you decide to sell your home get the best realtor around, Nutan Brown. Nutan Brown was our best choice for our home search. 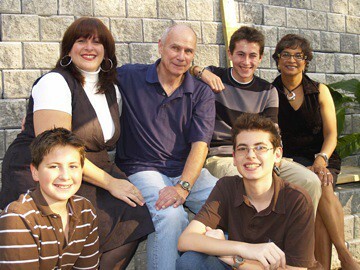 We were not living in Toronto and needed someone who quickly understood our family's needs and was prepared for our visits. Nutan is very good at listening and finding the right fit. After we had looked at a number of homes we were struggling with a decision. Her simple, but insightful, observation about the home we looked happiest in led us to buy that very house. And she was right - it did make us happy and still delights us. Nutan was unable to come to offer night as she had another offer night for a home she was selling. In her place, her brother, Anil, joined us for the offer. He skillfully and honestly handled the tense negotiations for the house with great confidence and finesse. Anil and Nutan make a great team. Nutan really knows the market and her expertise, experience, patience, and insights are a perfect fit for anyone in the Toronto market. We will definitely work with Nutan again and highly recommend. I have had the good fortune to have Nutan Brown represent me both in the sale and purchase of our family homes. In 2014 Nutan handled the sale of our home on Elsfield Road. With her expert advice, professional recommendations, and outstanding sales performance our house sold on the offer date at an excellent price. When it was time for us to look for a new property I gladly reached out to Nutan. To say the least, the search for a new home in the Toronto area in 2016 had certainly become challenging. I was discouraged wondering if I would ever find the right space to call home. Nutan Brown was the shining light that gave me hope and who was with me every step of the way. 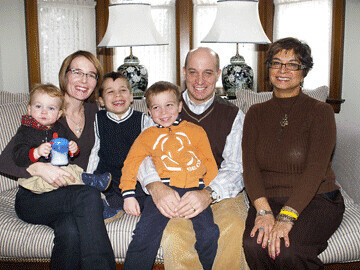 Nutan was patient, diligent, resourceful and determined that we would find the perfect fit for my family. Over the course of a year, Nutan reviewed listings and arranged countless showings never giving up on our search. I was not the easiest client and despite two lost bidding wars, Nutan's hard work and great negotiation skills led me to the perfect new home. A sincere and heart-felt Thank You, Nutan. I have now had the pleasure of working with Nutan when selling two properties. Nutan is unfailing knowledgeable, good natured, patient and accommodating. When Nutan is your real estate agent she comes with a team of diligent and talented folks to help. Special thanks to Brent and Gord, who helped to “fluff” one property. They updated the fixtures making cost conscious suggestions that fit our budget and emphasized the charms of the residence. Angelo looked after the painting and did a marvellous job. When it came time to sell my parent’s home of some 50 years Nutan was ready to help and once again did an excellent job. Her team was lined up and onside within a few days. Kevin is a handy man like no other. He evaluated the repairs we needed and agreed on a schedule allowing us to meet our goal to put the house market within a short period of time. The job was completed on time and within budget. Kevin’s attention to detail and his good nature were very appreciated. Ali helped with carpet necessary to freshen the look of the family room. His professionalism and willingness to accommodate my busy schedule was very impressive. Throughout the process Nutan was supportive, accessible and successfully closed a deal that had many challenges. Her impeccable skills and professionalism shone through. 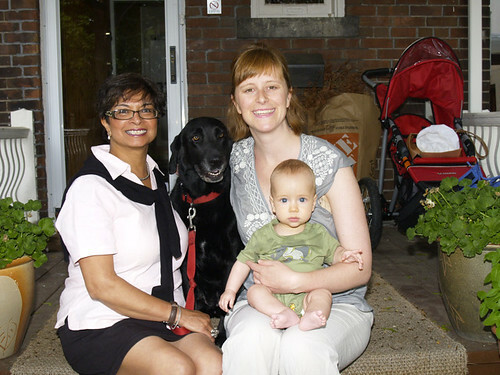 As a long-time resident of the Bloor west Baby Point neighbourhood and a small business owner keen to launch her concept with the right work-home real estate combination in that same neighbouhood, I reached out to Nutan Brown to help me find a suitable mixed used property: to work and to live. I knew from the start that success might take a while: knowledge of the neighbouhood, a network of relationships, patience and thorough research would matter. Nutan delivered on all of those points. Maison-Basque, my new business, needed a credible showroom space that could be used to feature its colourful striped fabrics, home décor and fashion accessories from Southwest France. The space is to open to professionals as Maison-Basque will wholesale its products and is to open to the public on a limited basis. The address had to be close to a prime retail area such as Bloor West but without the expectation of being opened to retail Monday to Sunday. The idea of buying around the corner from a premium retail area, with nearby subway access and within a neighbourhood in transition, such as Jane st between Bloor and Annette, was appealing from an investment stand point as well. The bar was raised higher since the property also needed to have the potential to accommodate above the commercial space a small but comfortable space to live with 2 children, either in a ready to move-in shape or in a shape where a reno made sense. Nutan was selective in bringing to my attention only the properties that were relevant, some that deserved a visit, and some that she would send me info on to develop my market knowledge. She understood my business and residential needs, was resourceful to contemplate different combinations to get us to the finish line. It took time for the right property to become available but we succeeded. Her deep knowledge of the neighbourhood and its people, market values, responsiveness to my questions allowed us to develop a solid knowledge of mixed used properties in a very defined geography and make the right moves at the right time. We were in competition with other buyers but being well prepared helped us secure the property I was after. Maison-Basque opened in a pop-up -boutique mode last August for a couple of months before substantial construction and renovation work got launched. I hope that the result of our hard work as a team will result in a great showroom and living space later this Summer when the reno is complete. Thank you Nutan.